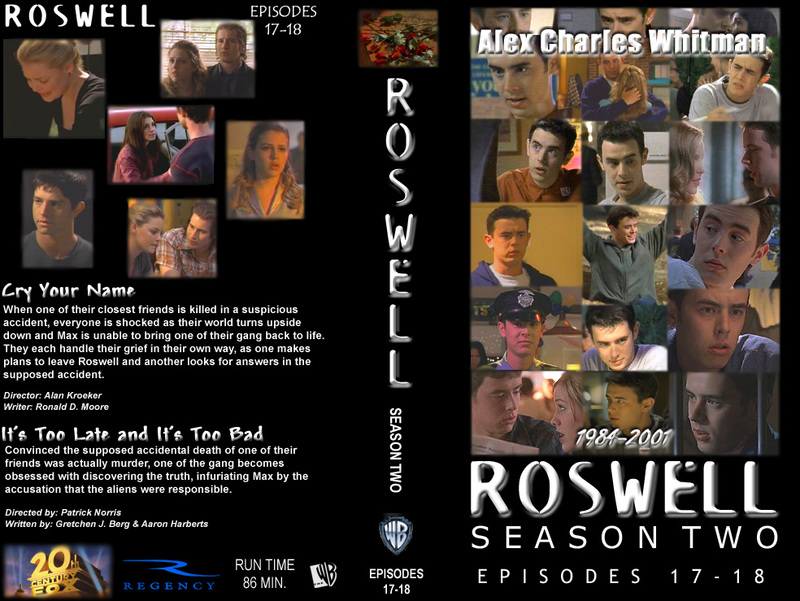 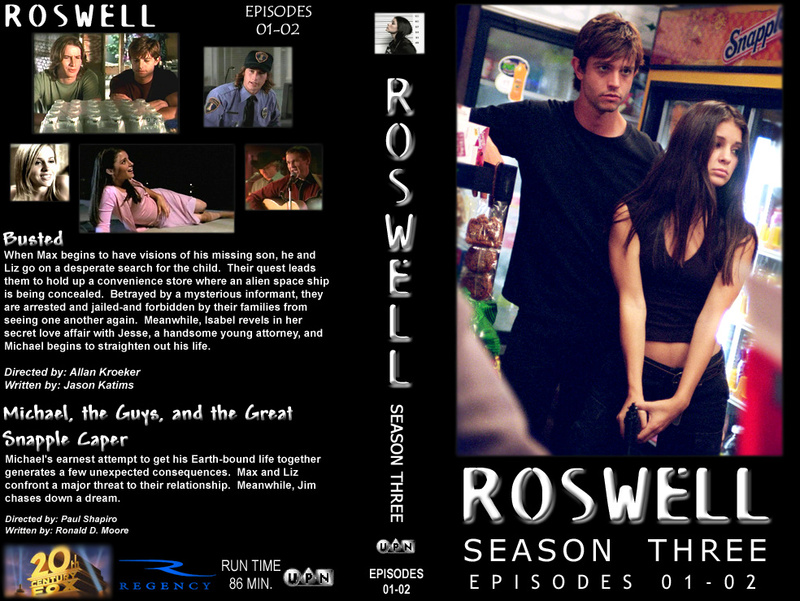 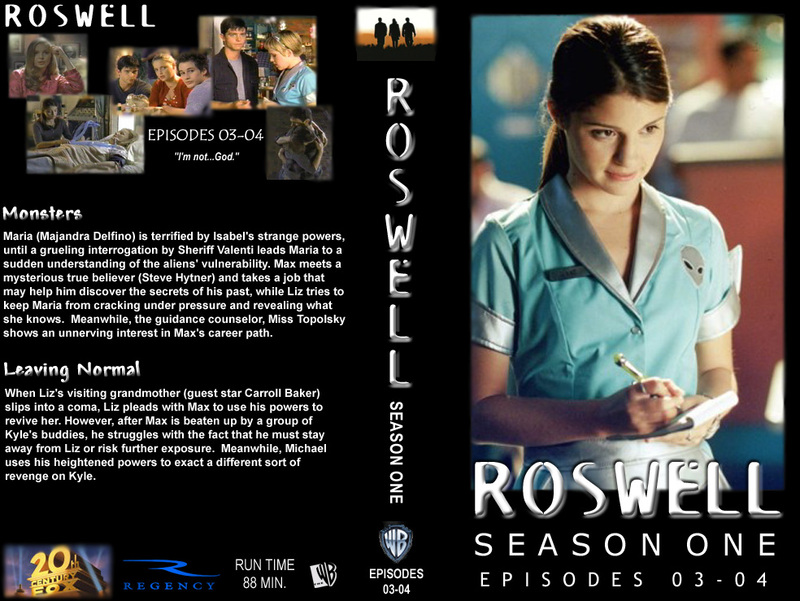 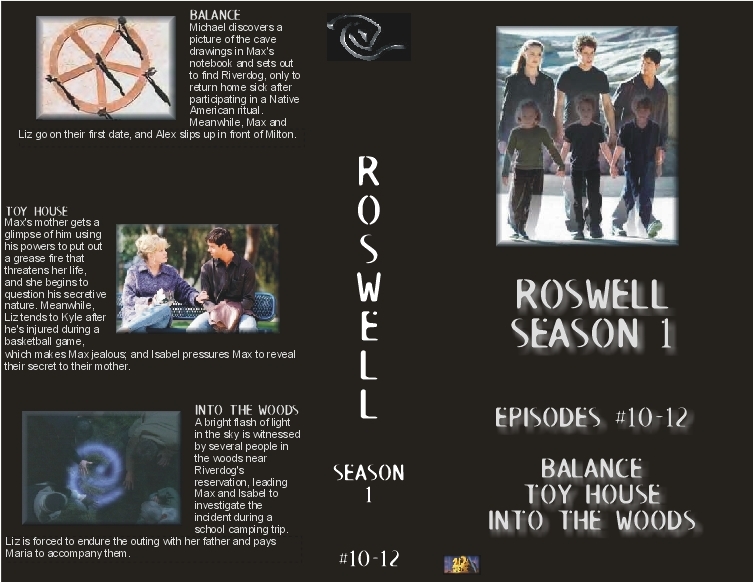 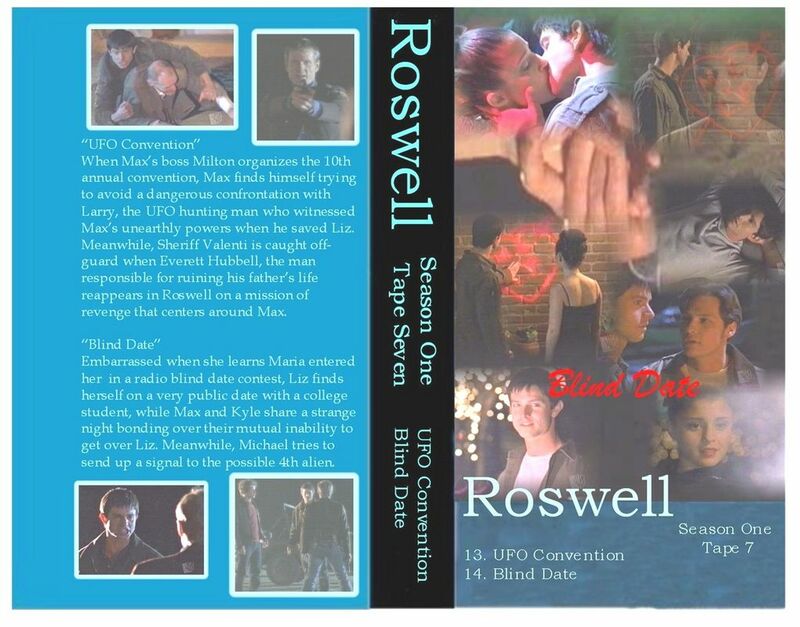 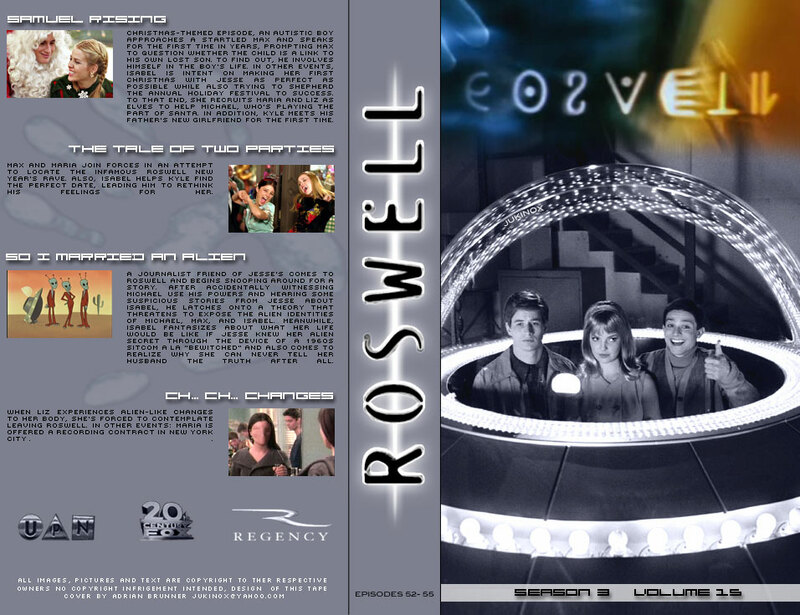 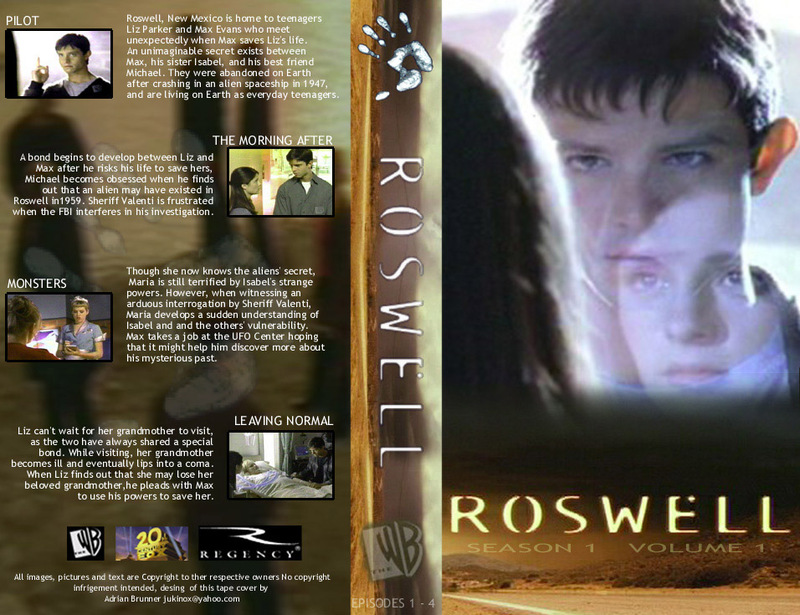 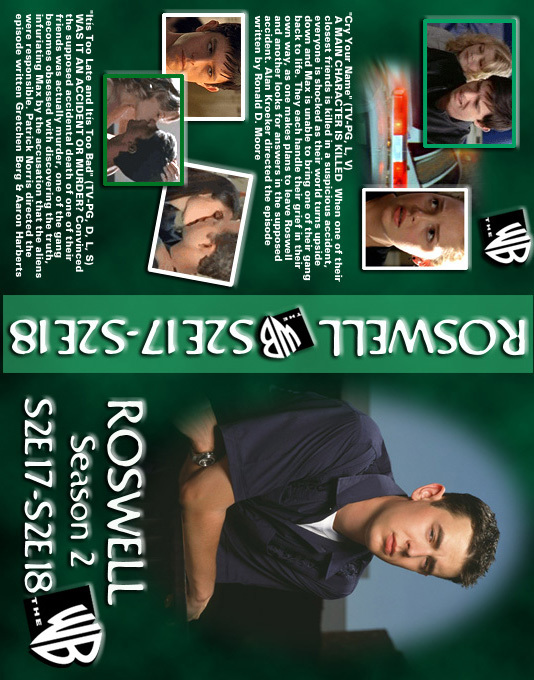 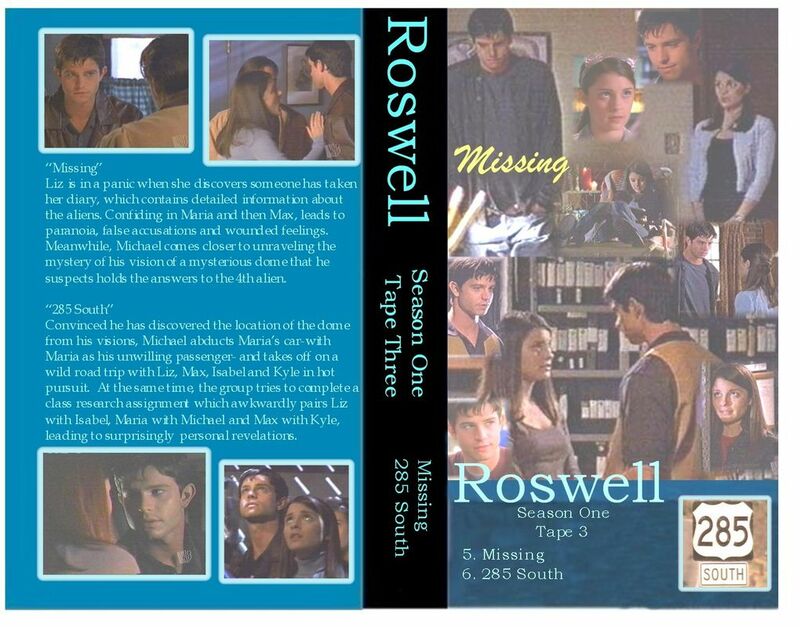 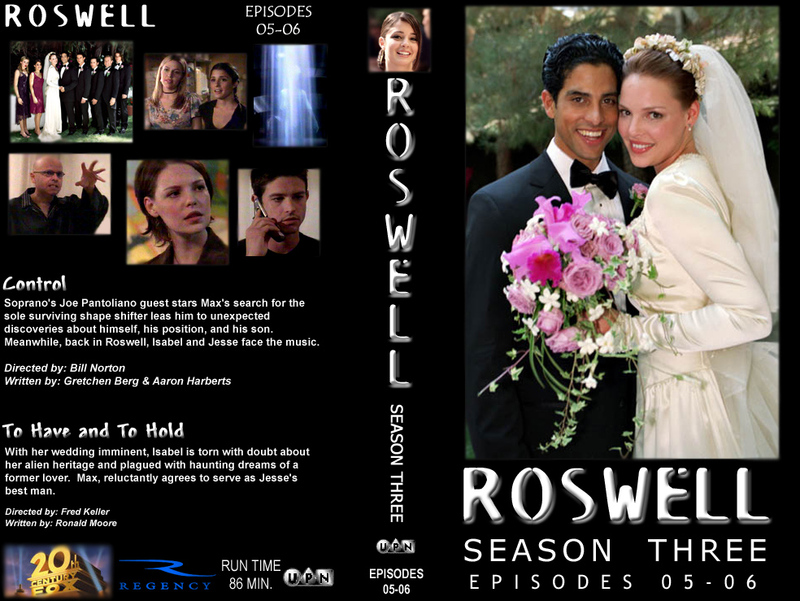 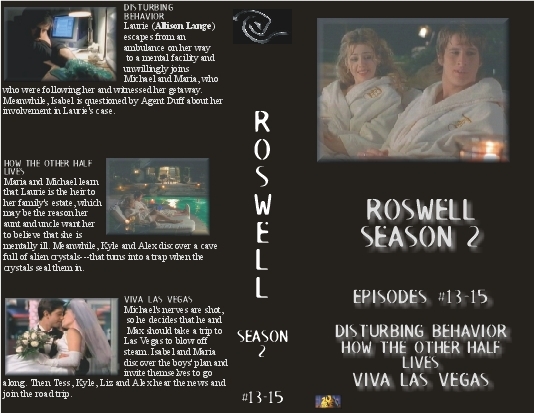 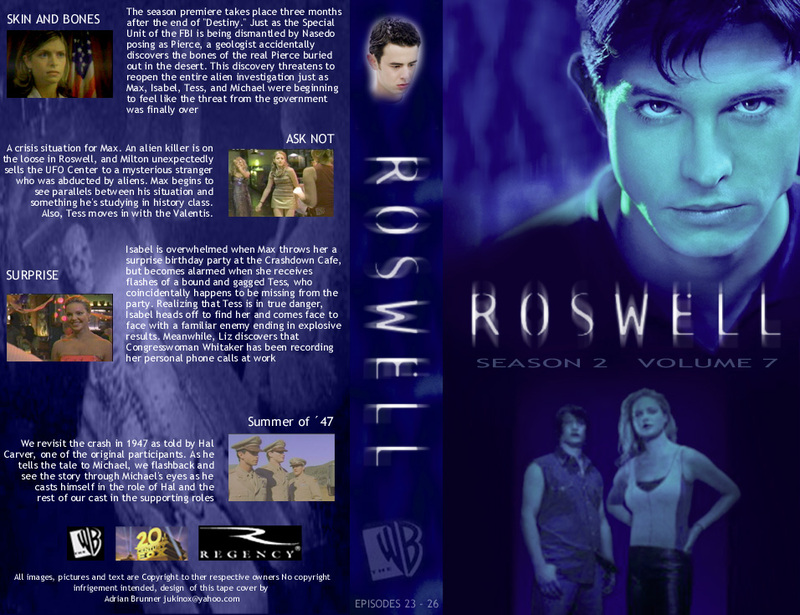 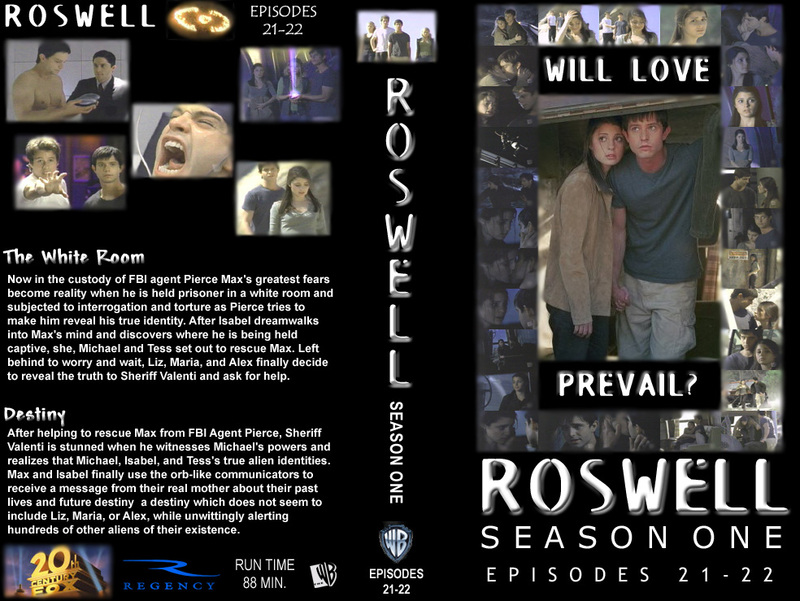 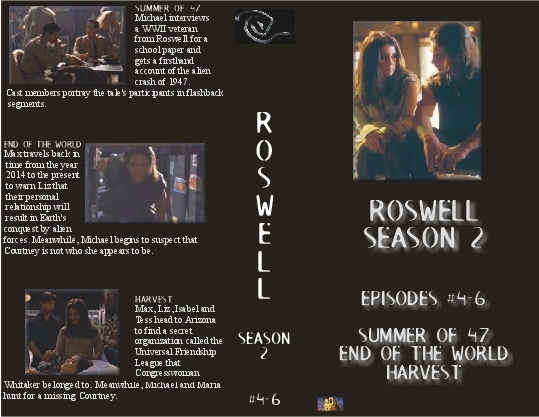 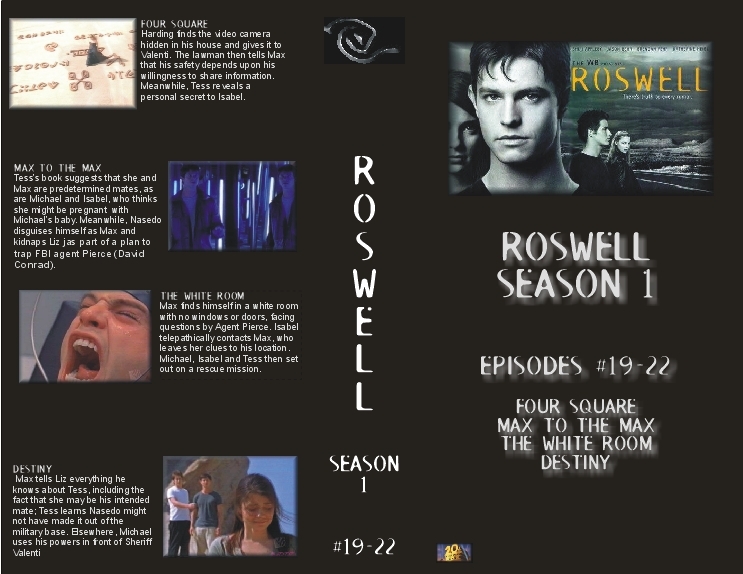 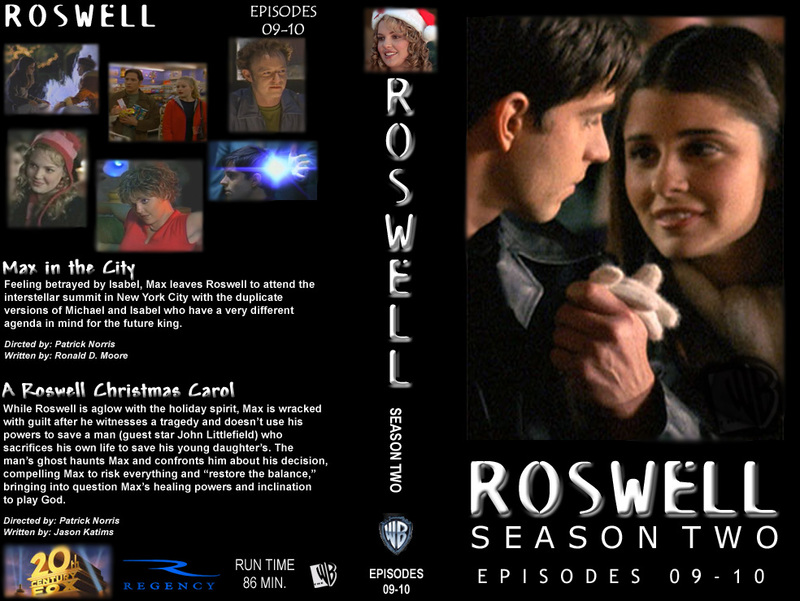 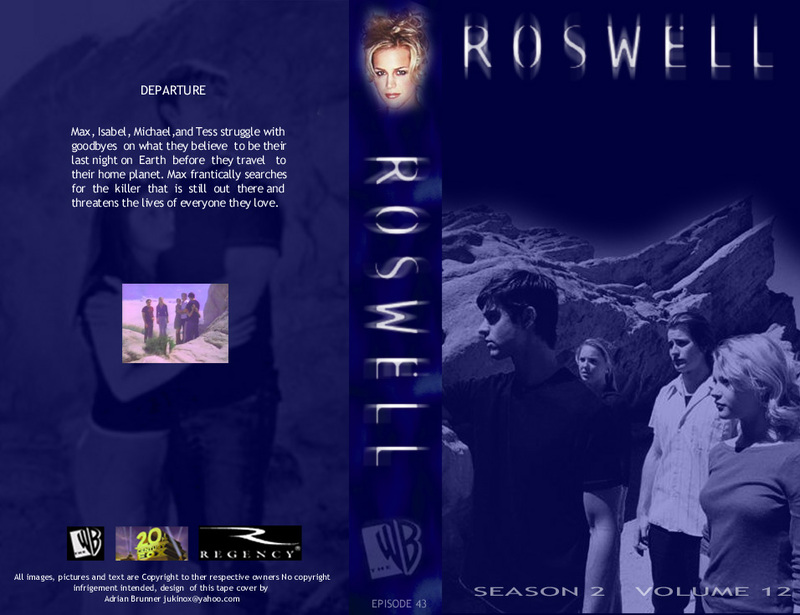 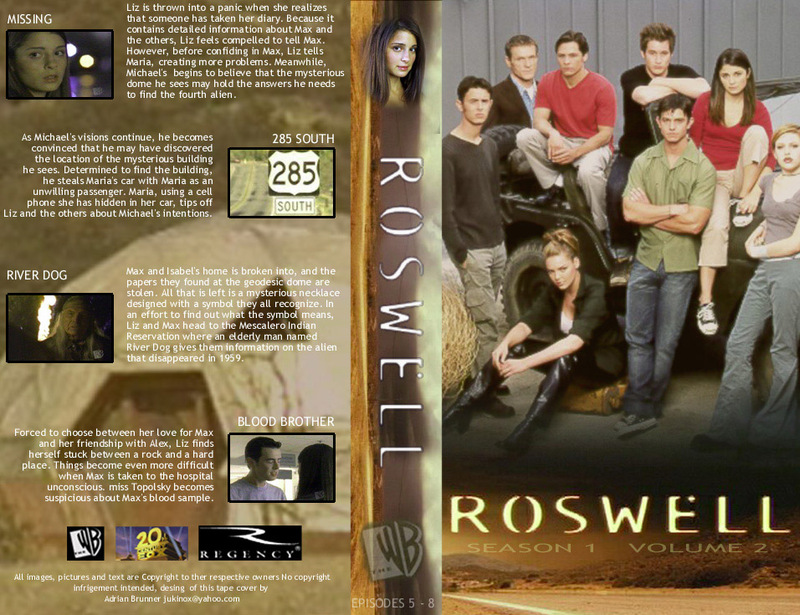 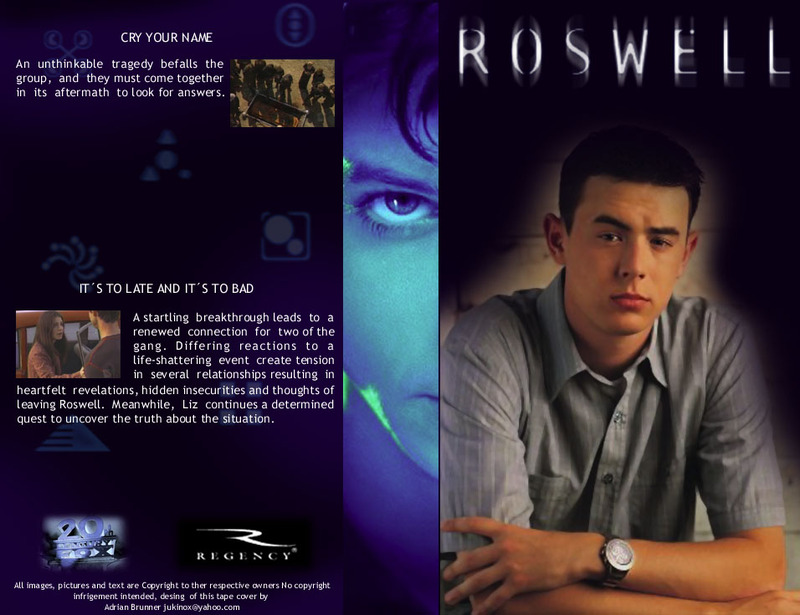 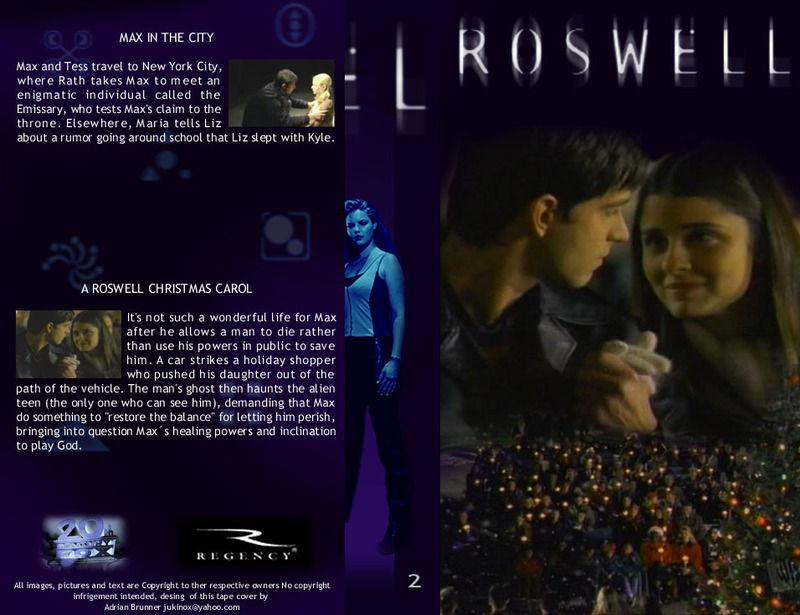 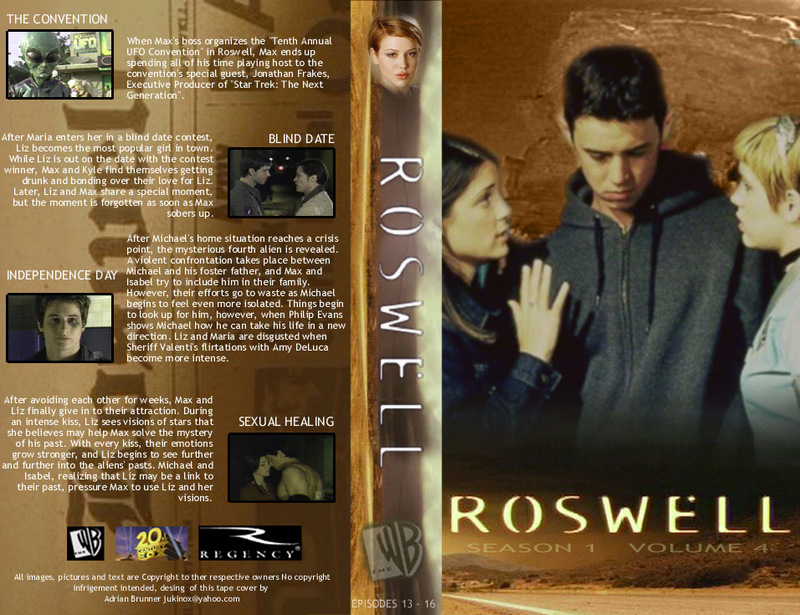 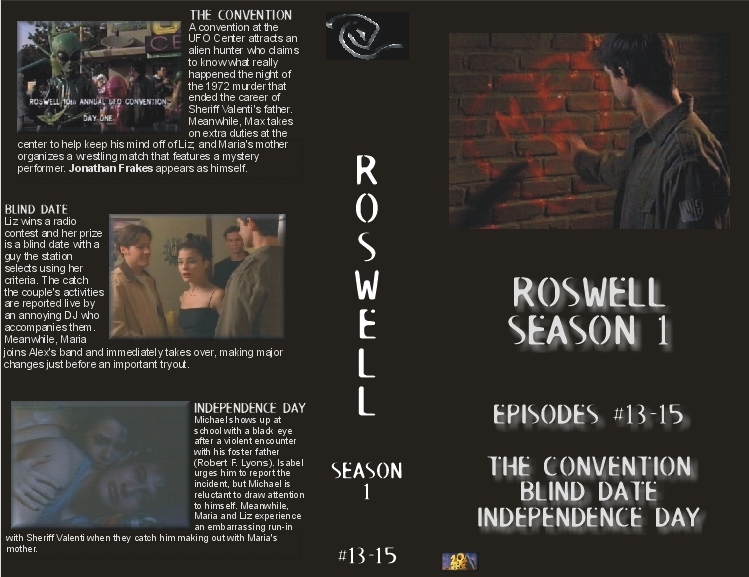 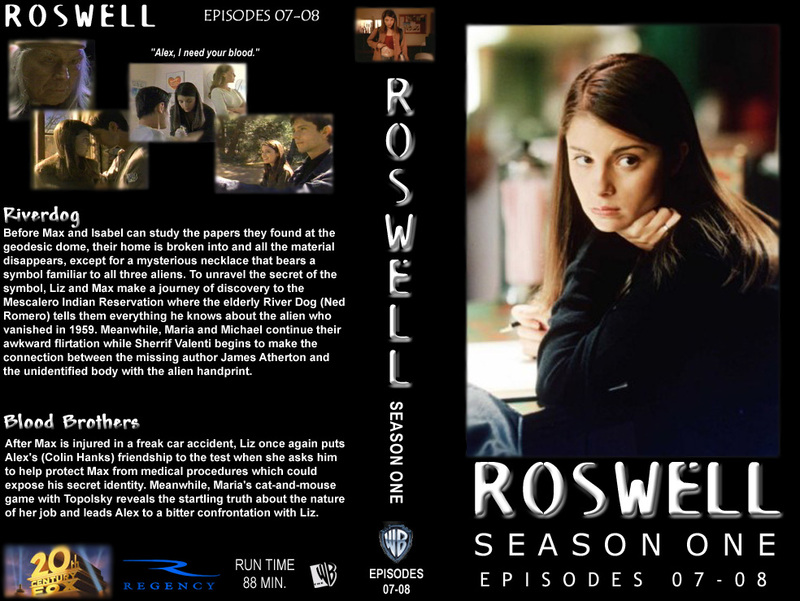 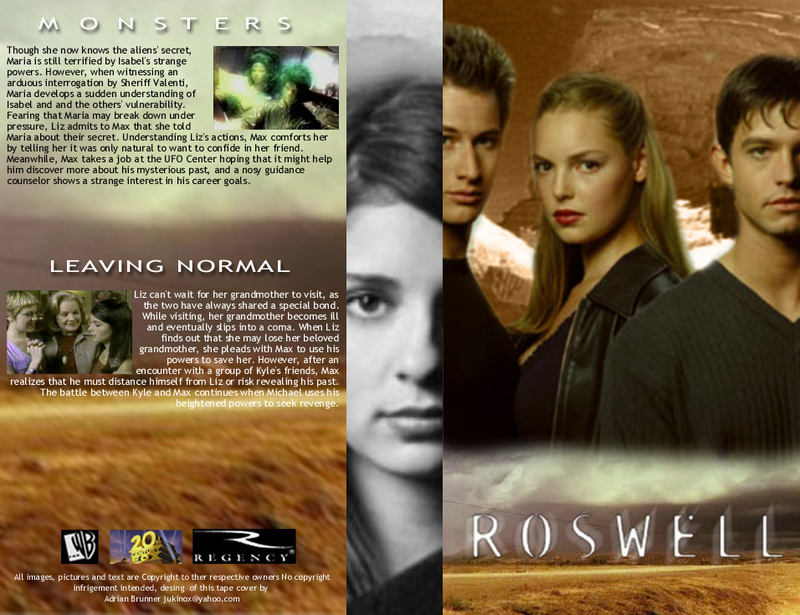 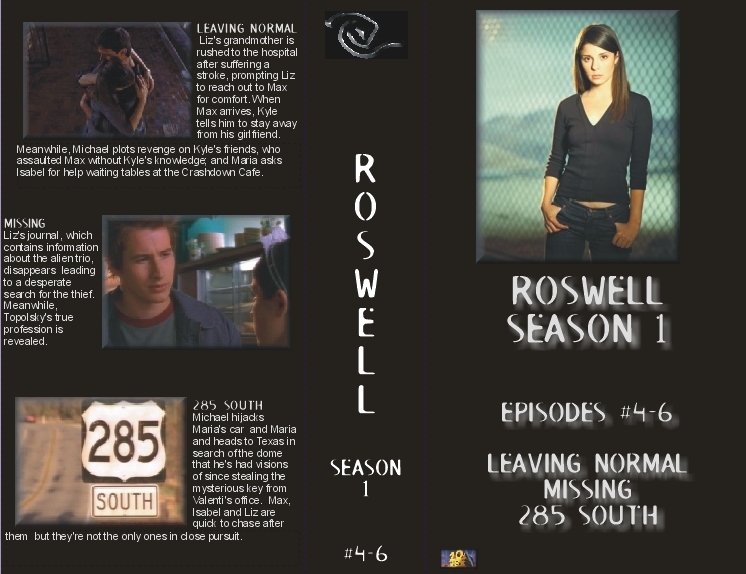 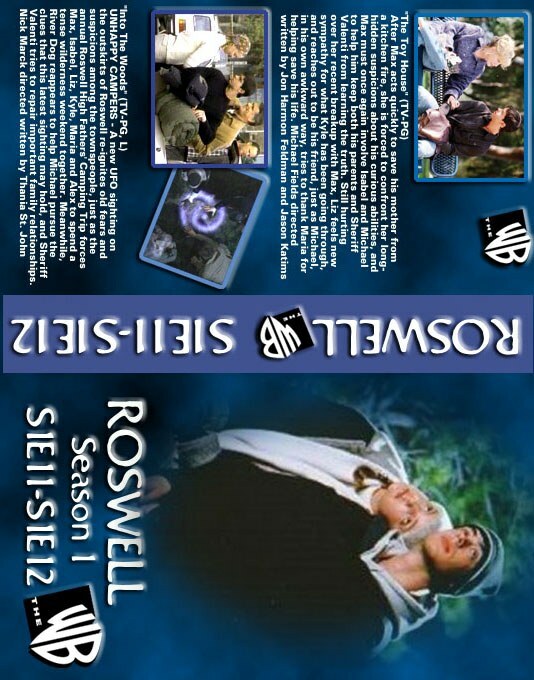 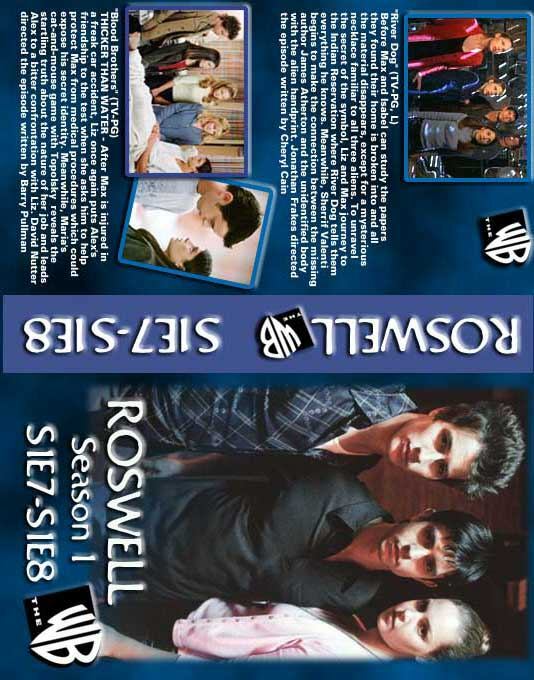 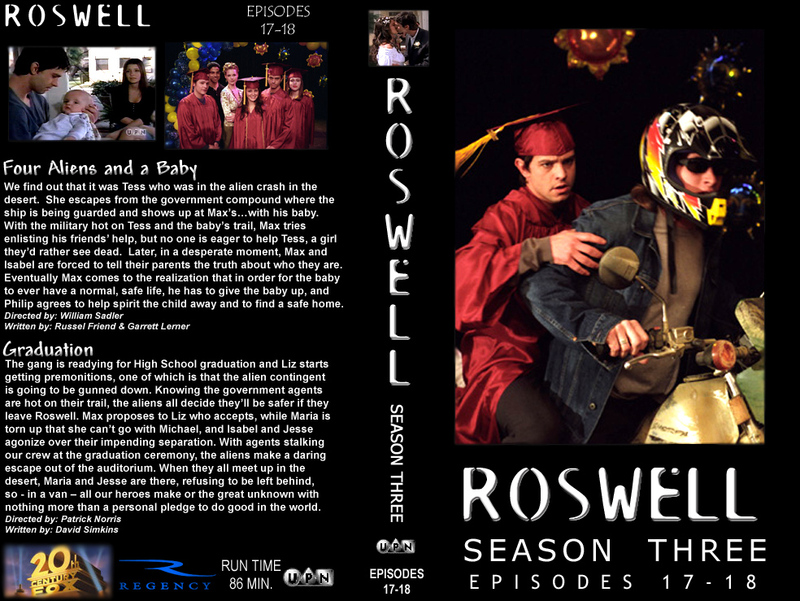 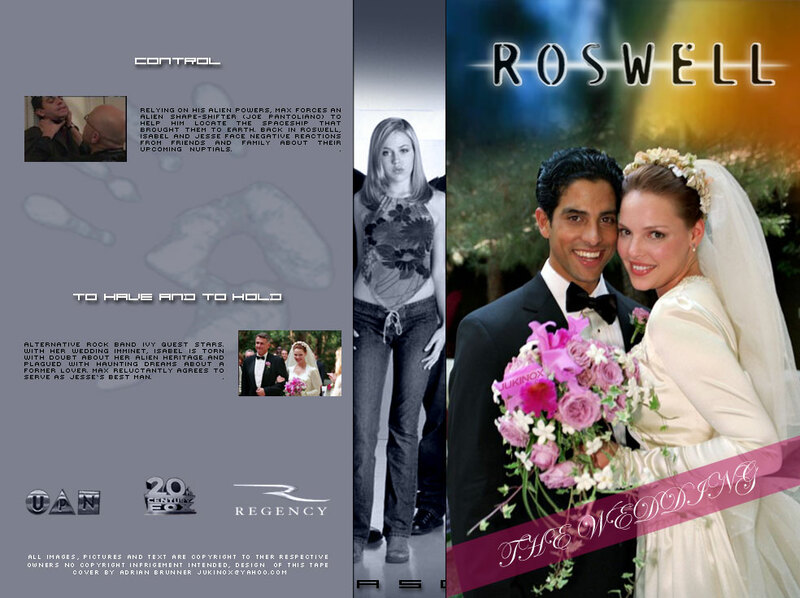 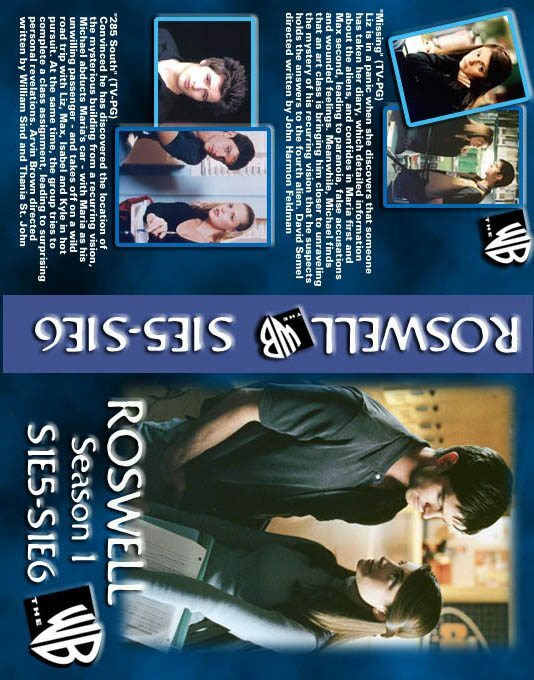 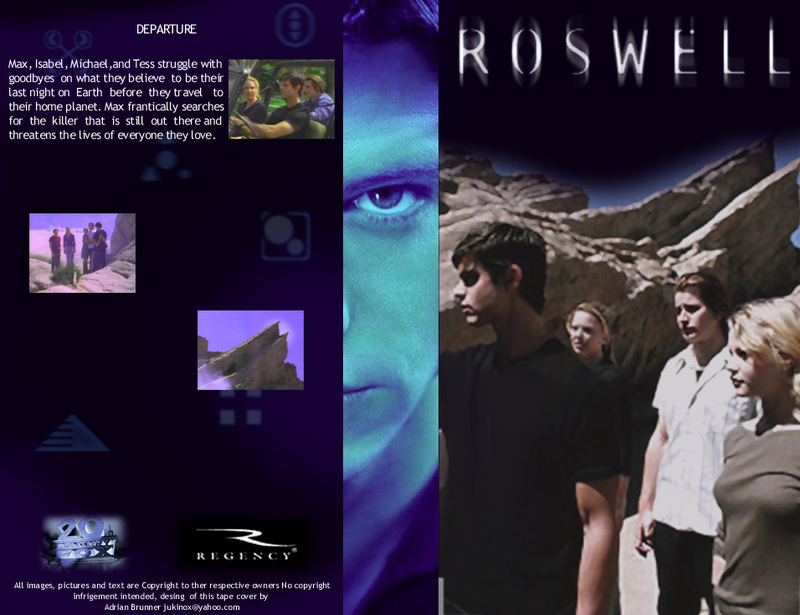 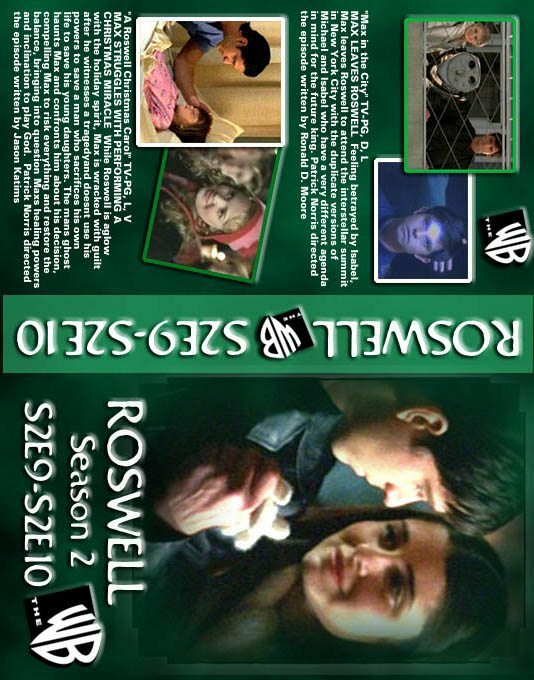 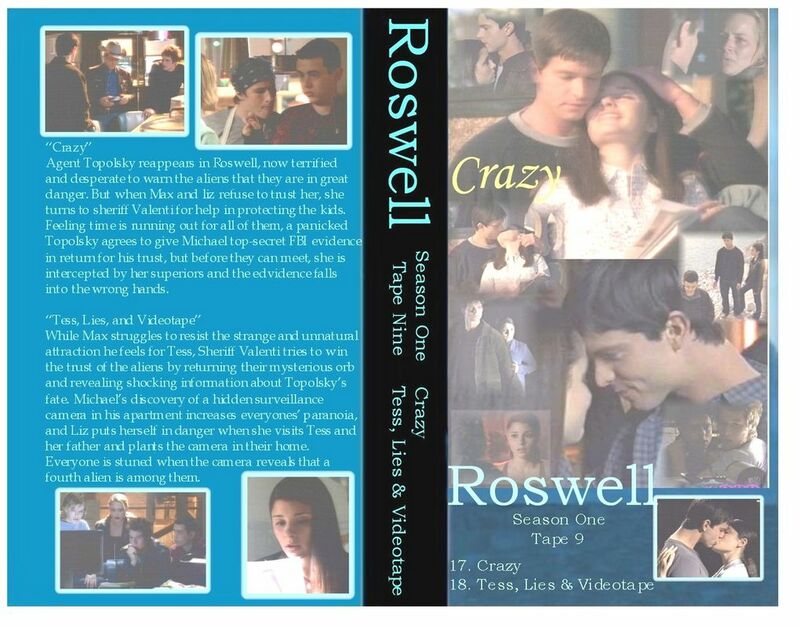 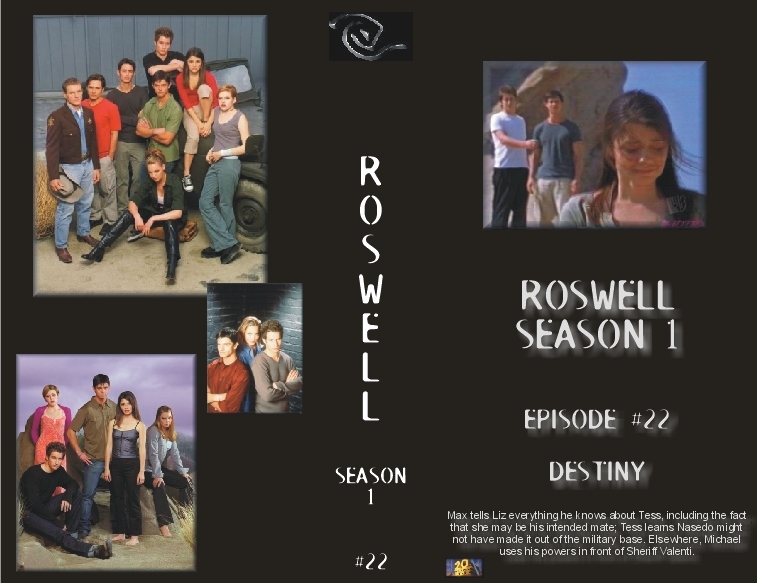 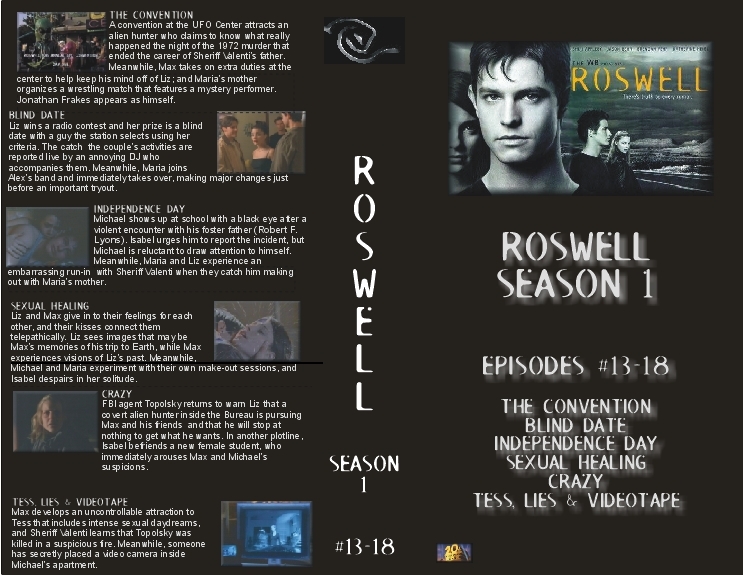 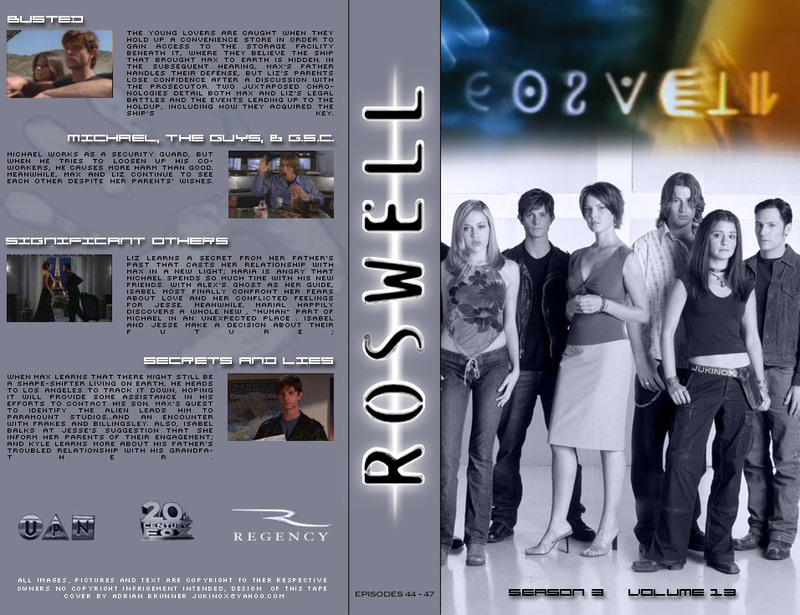 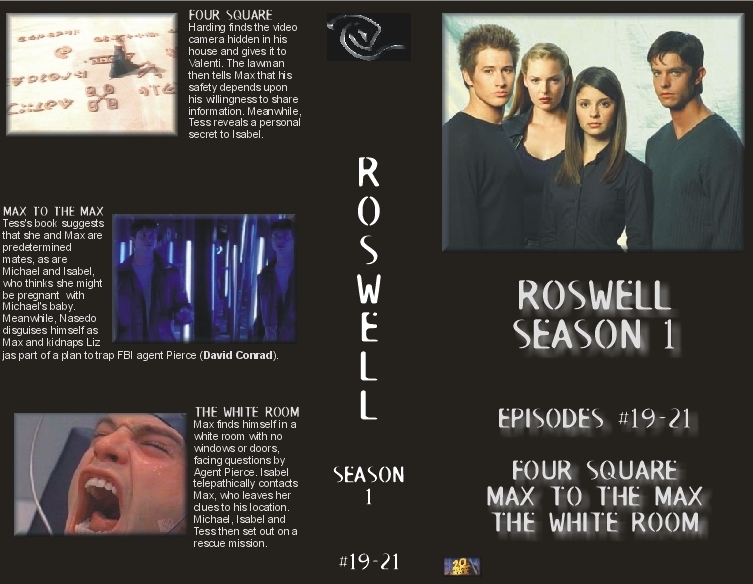 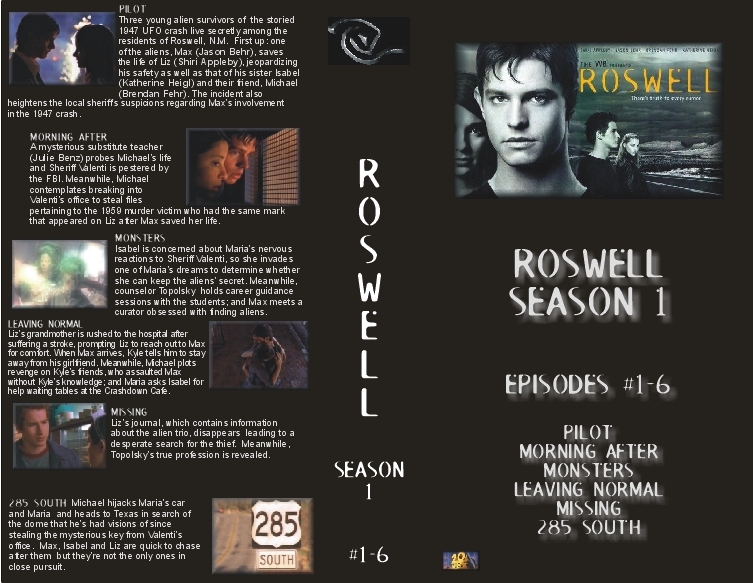 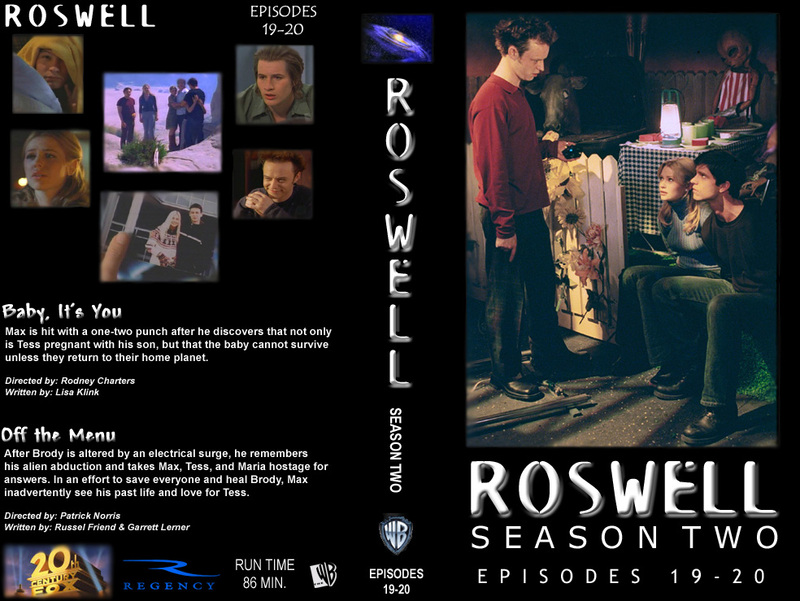 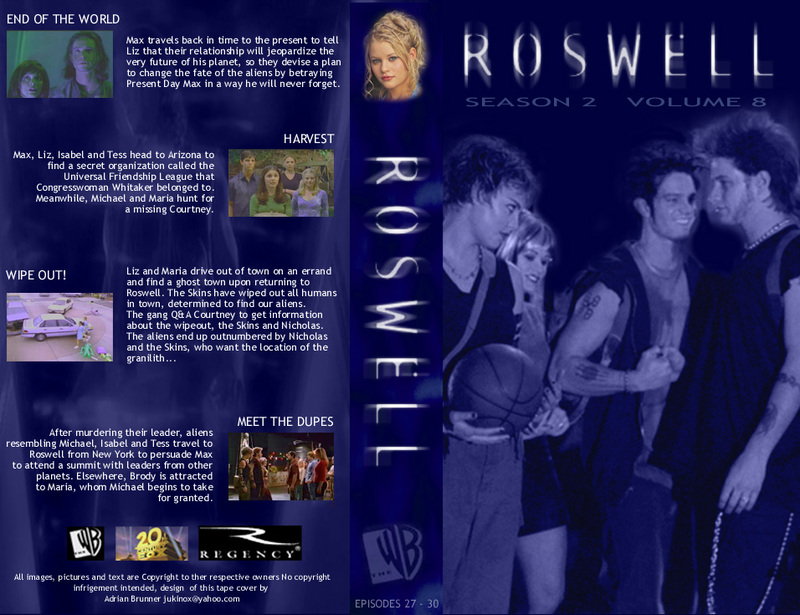 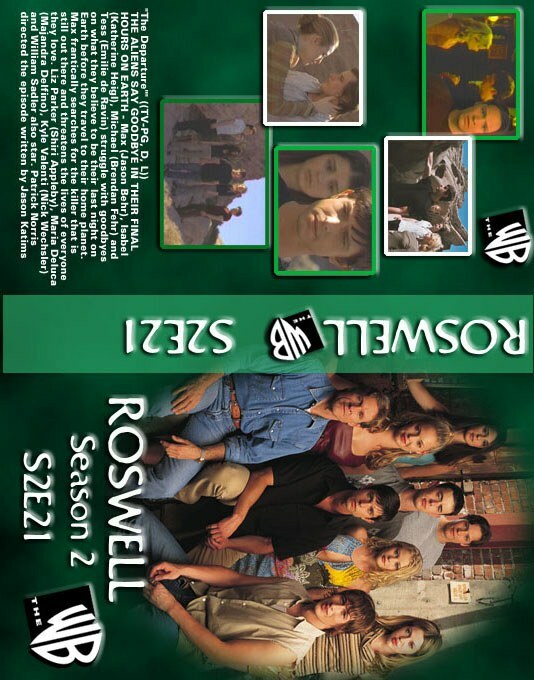 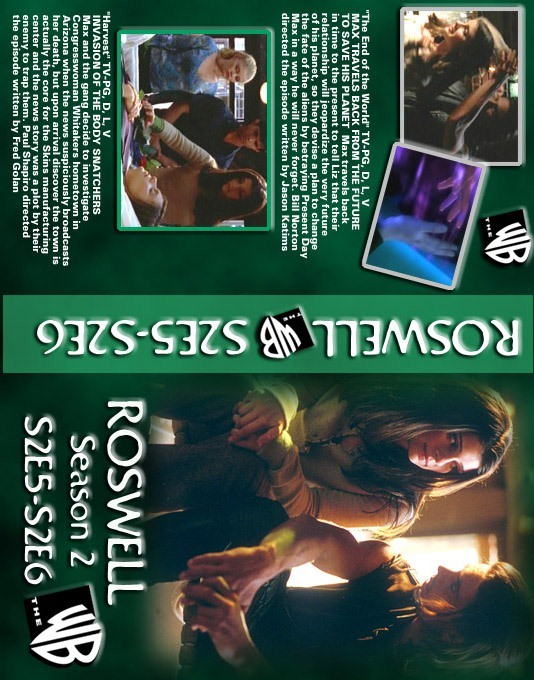 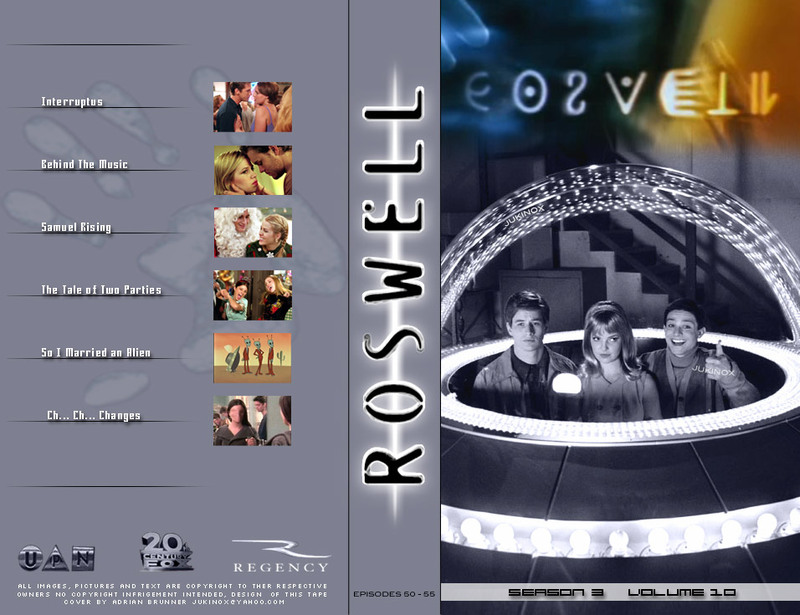 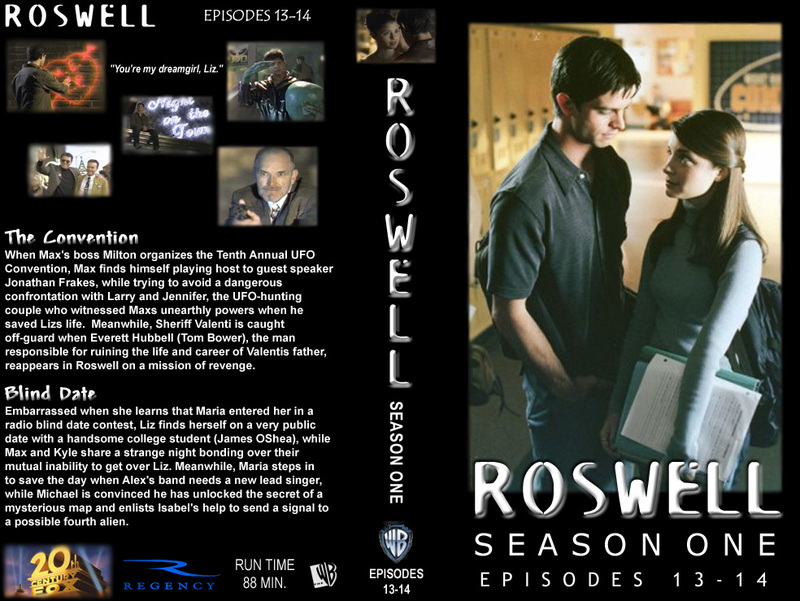 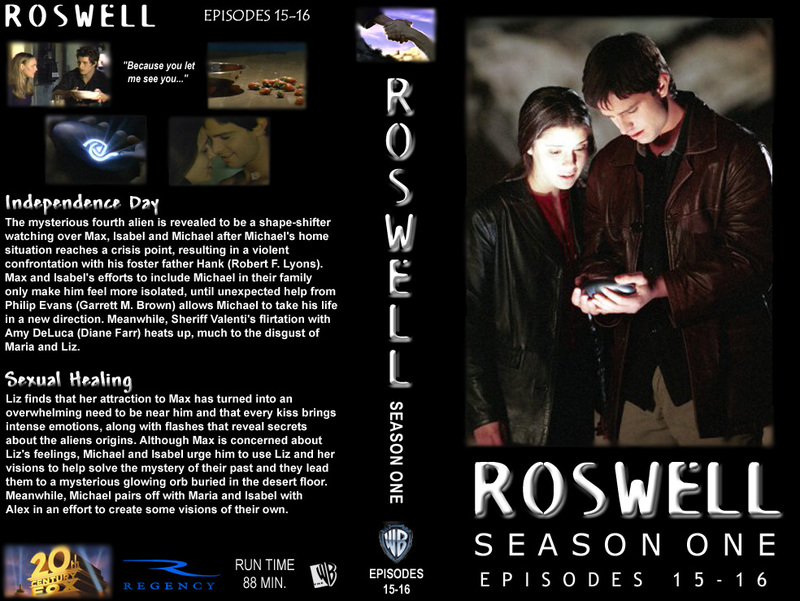 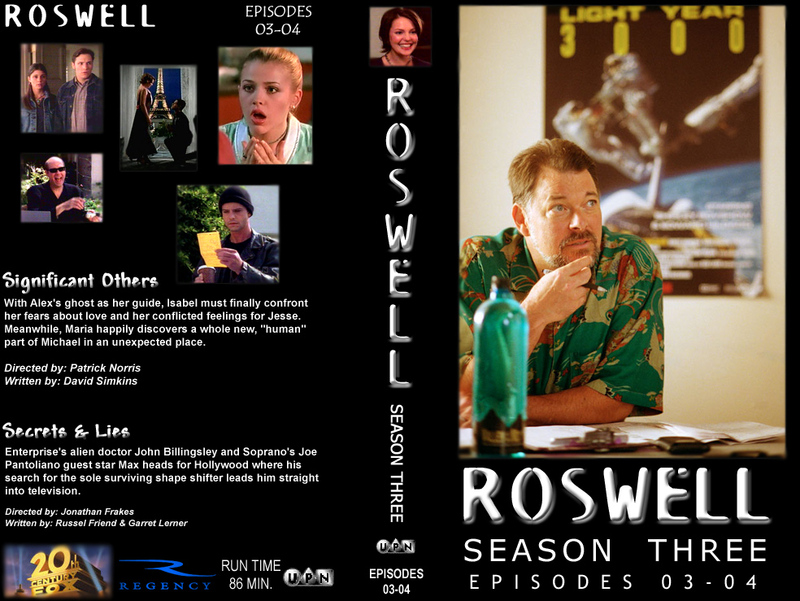 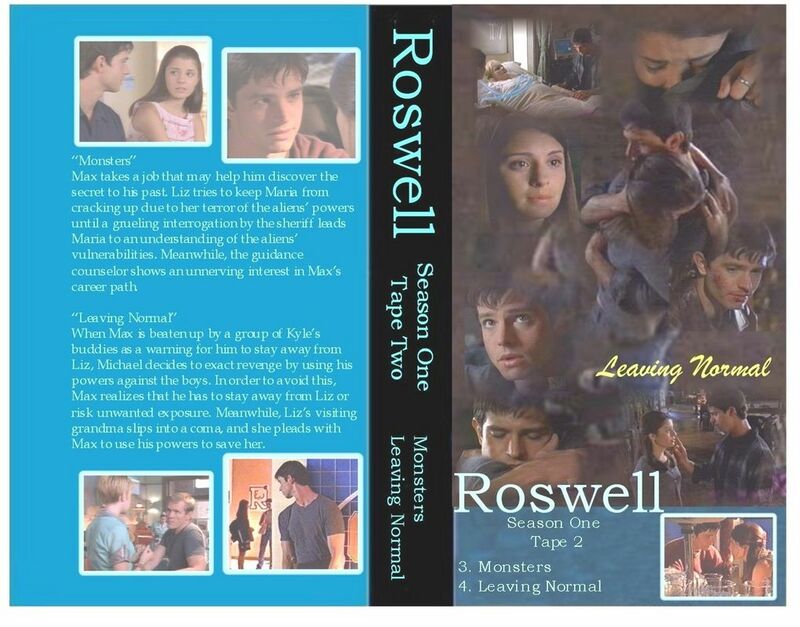 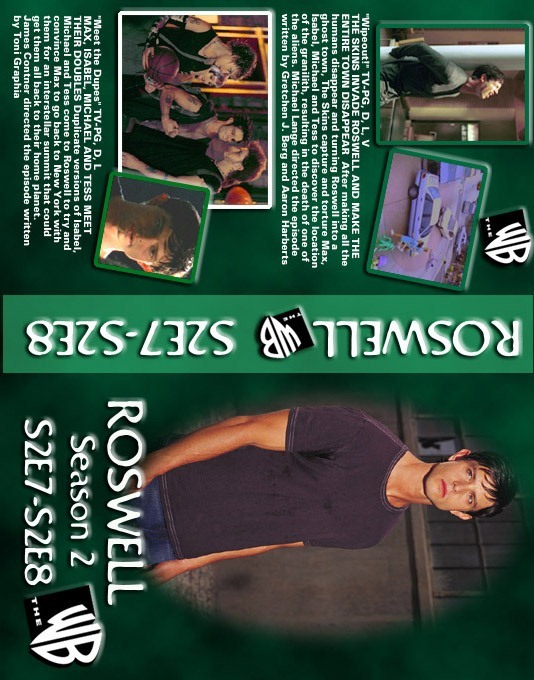 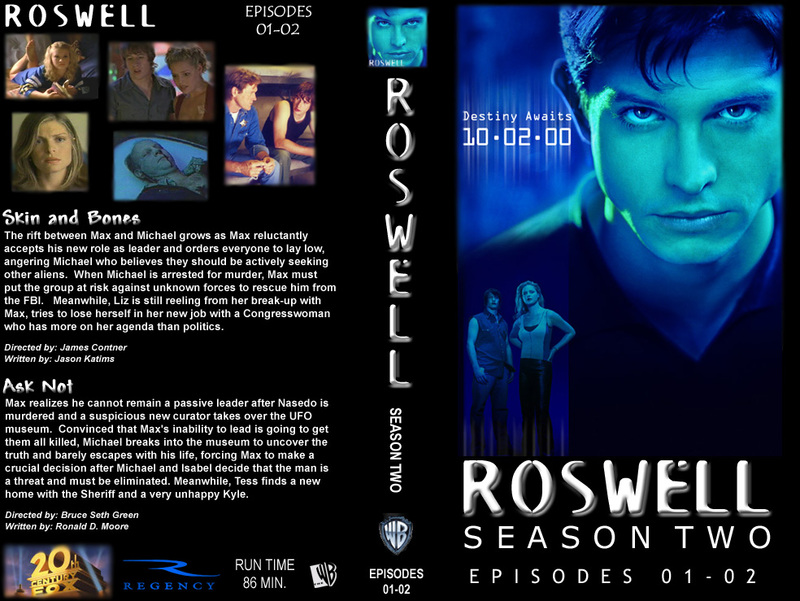 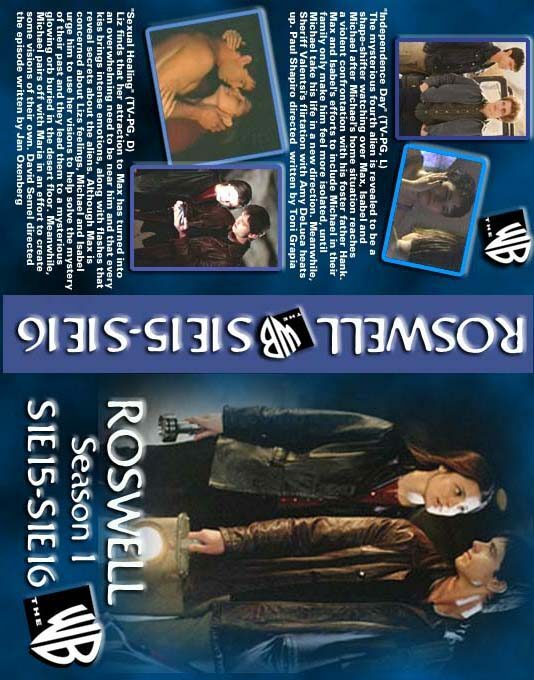 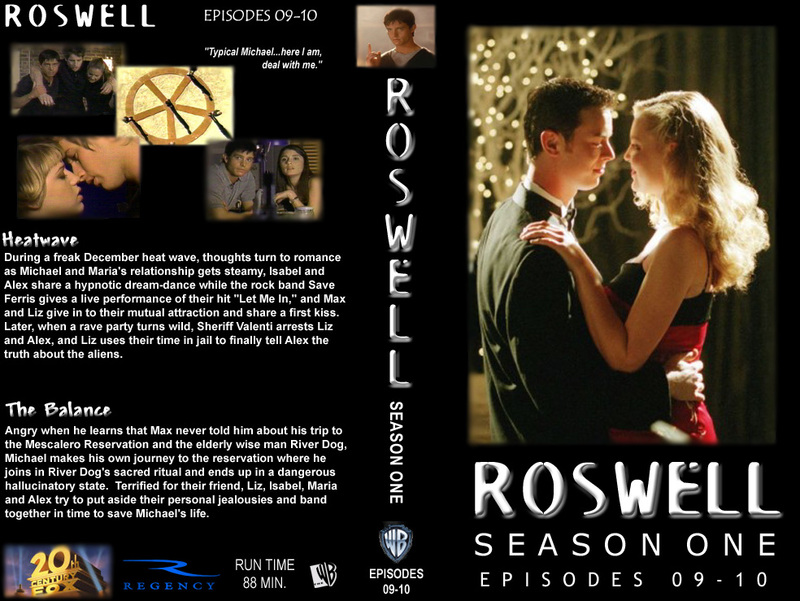 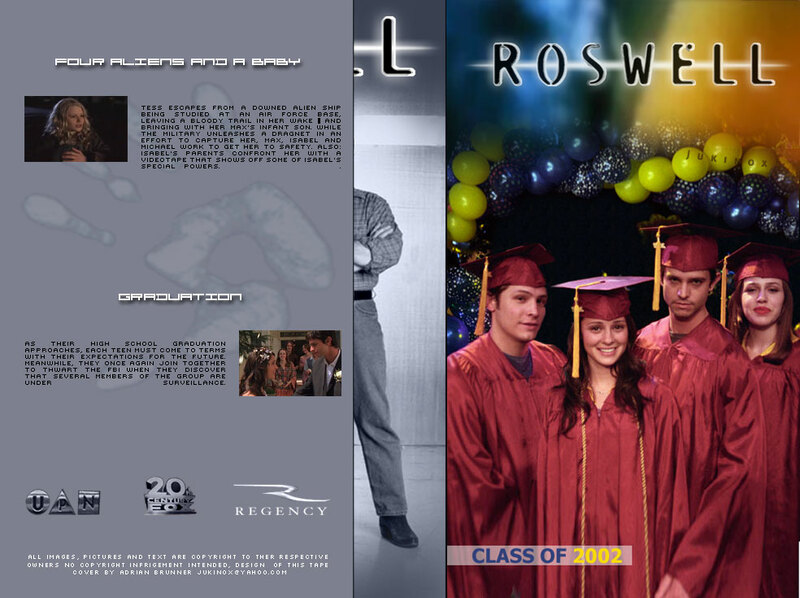 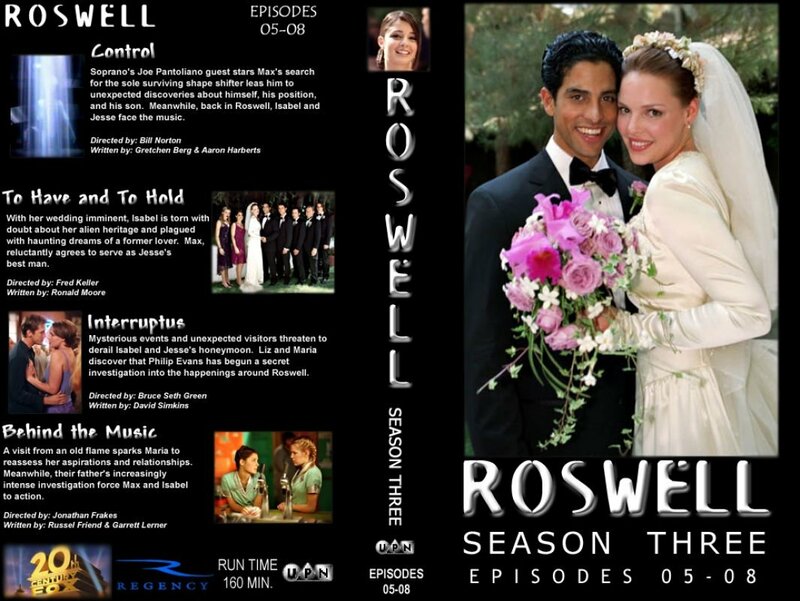 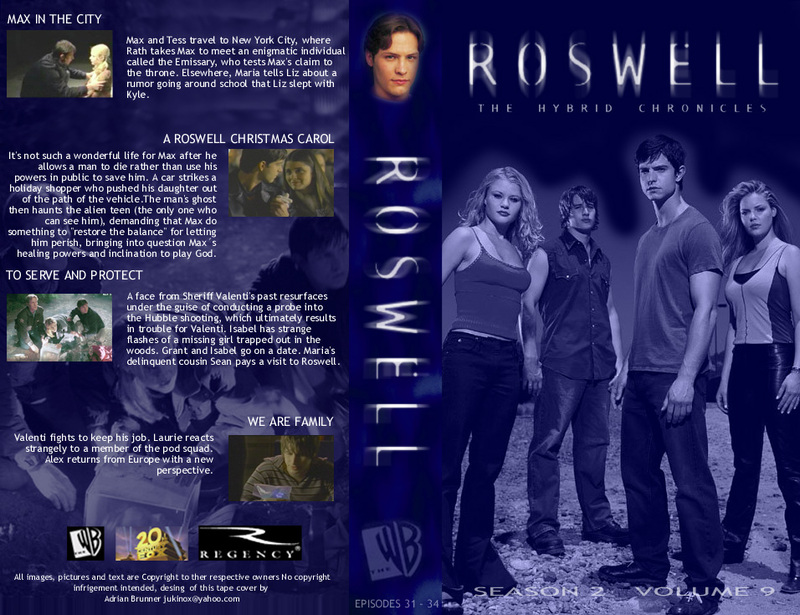 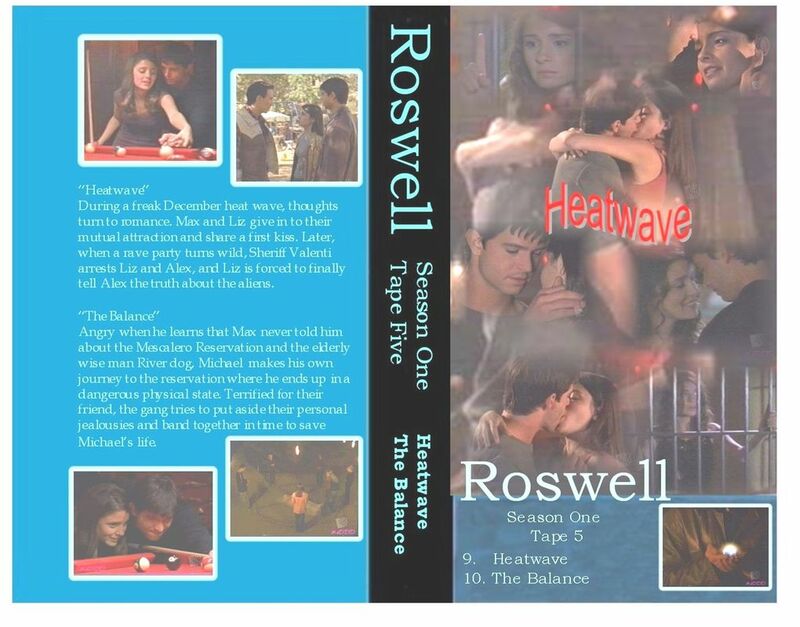 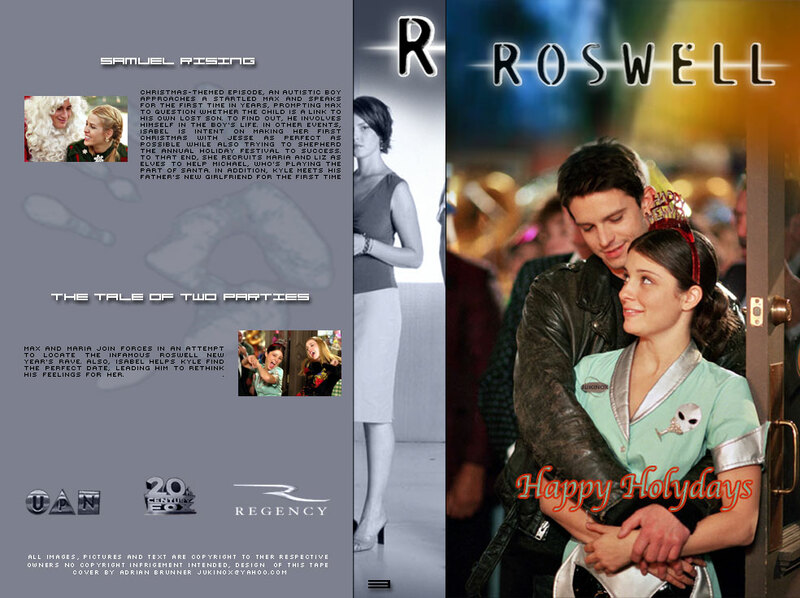 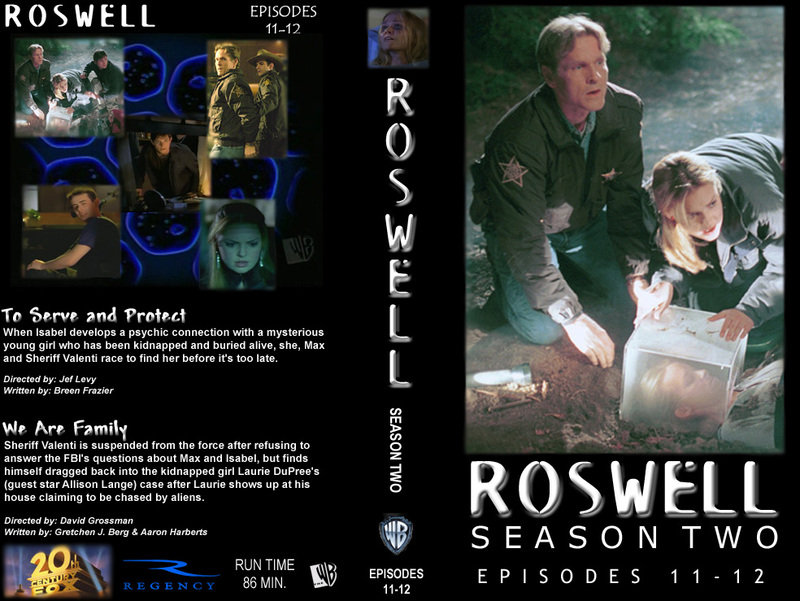 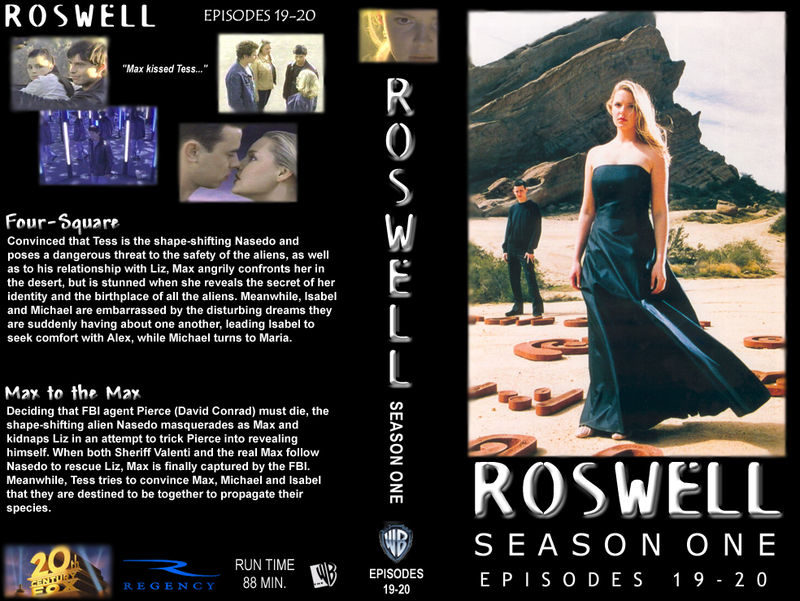 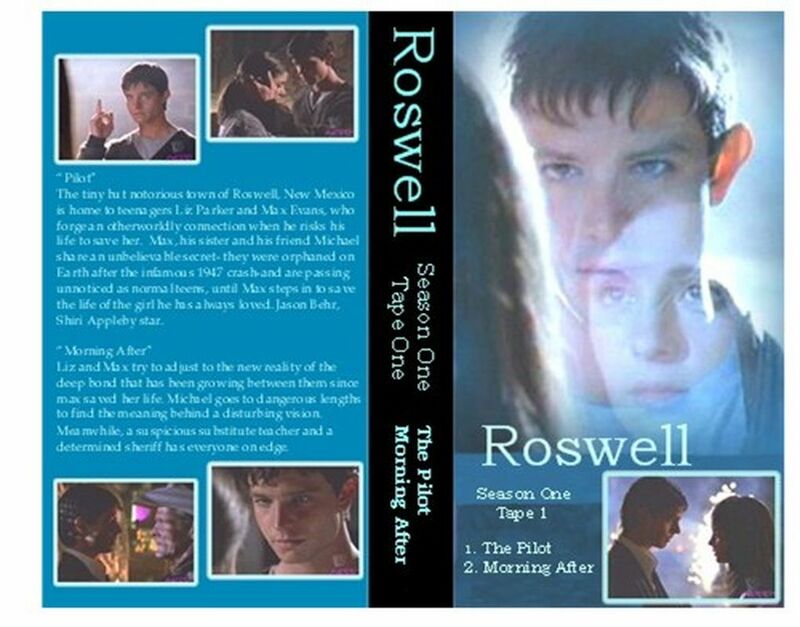 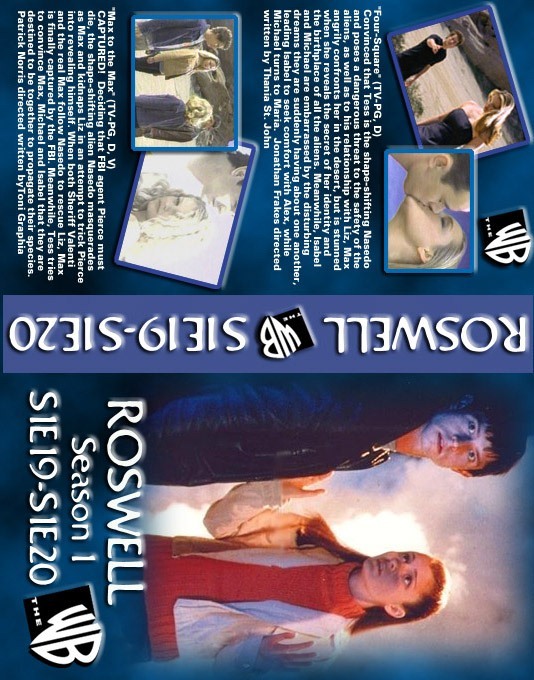 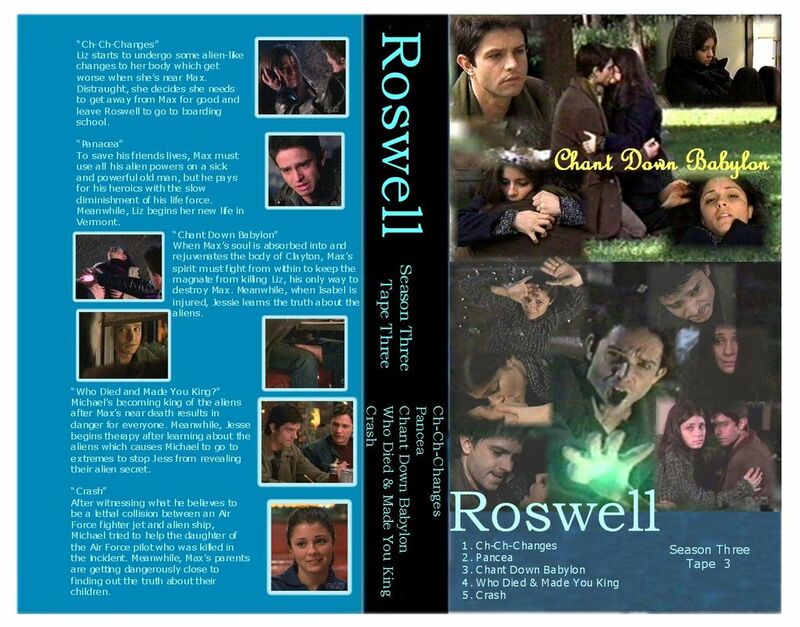 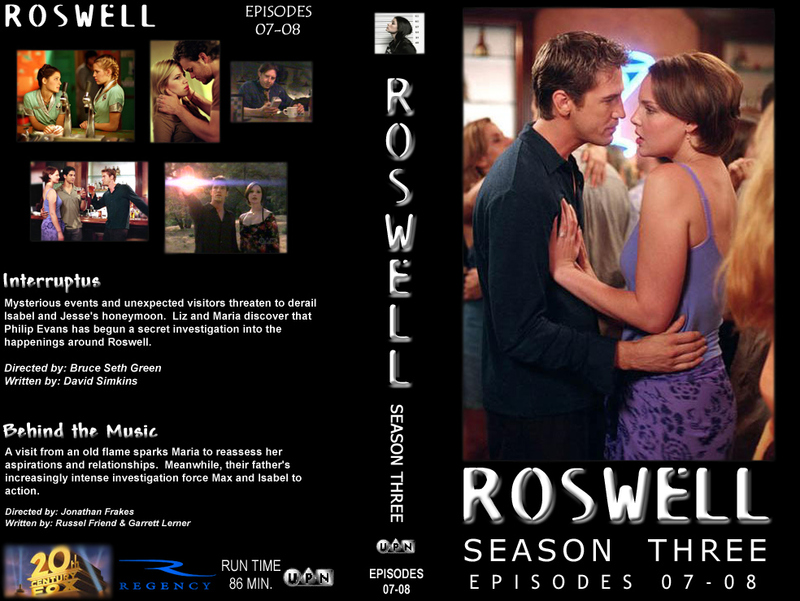 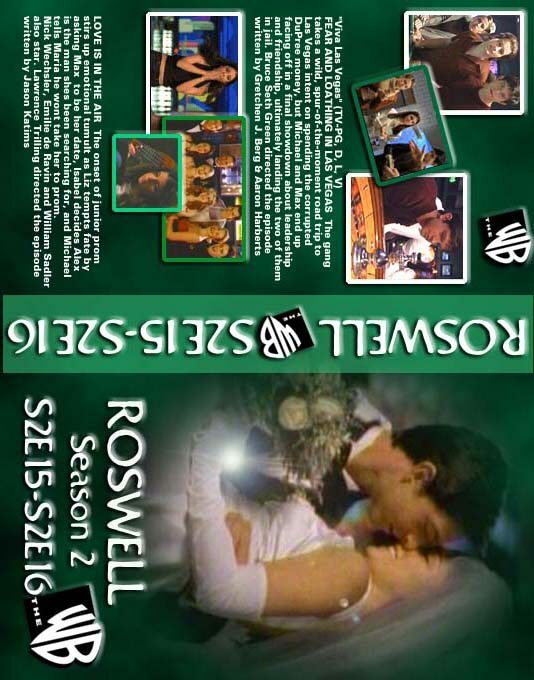 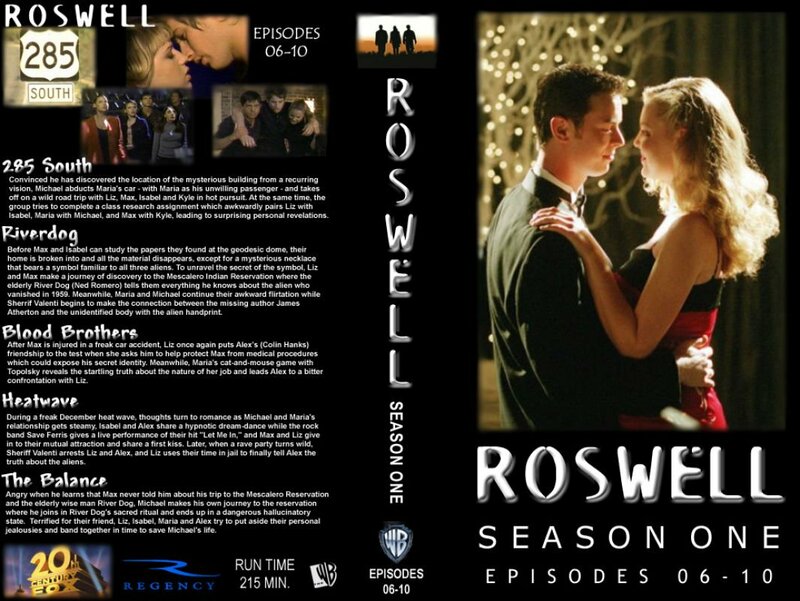 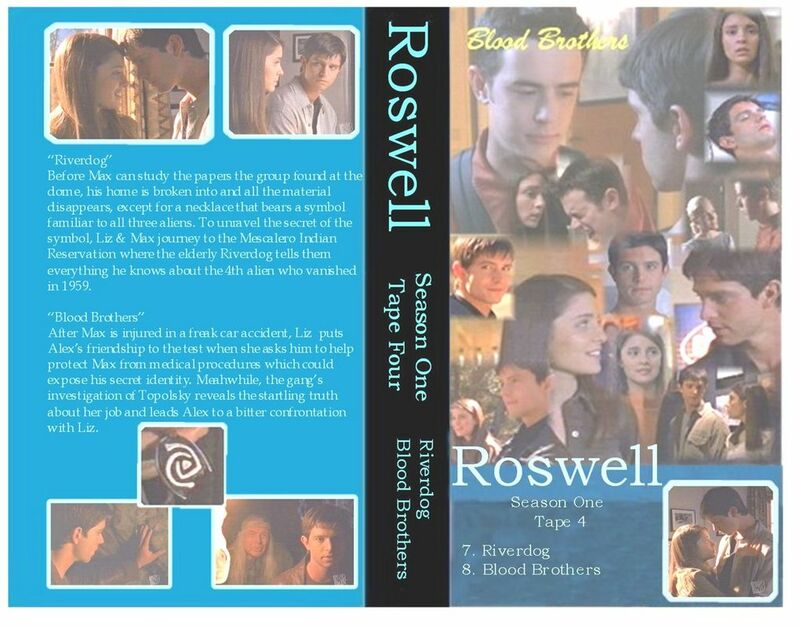 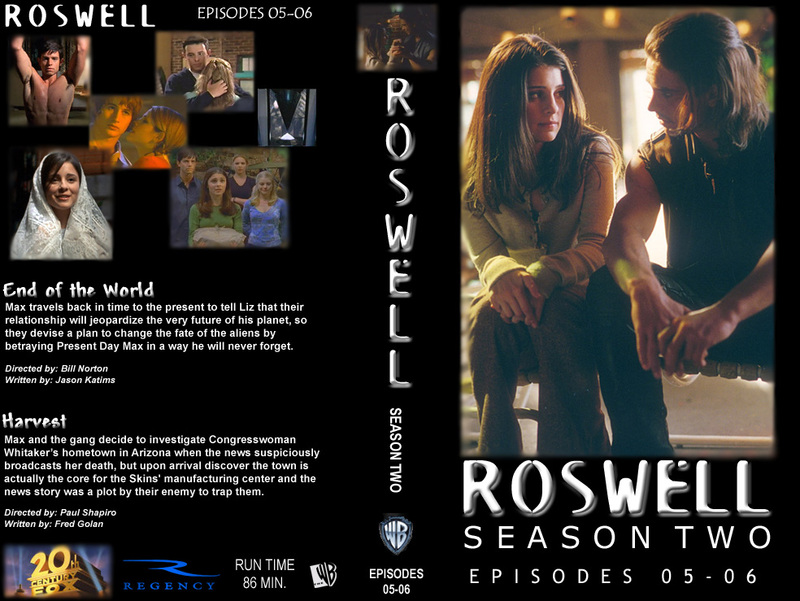 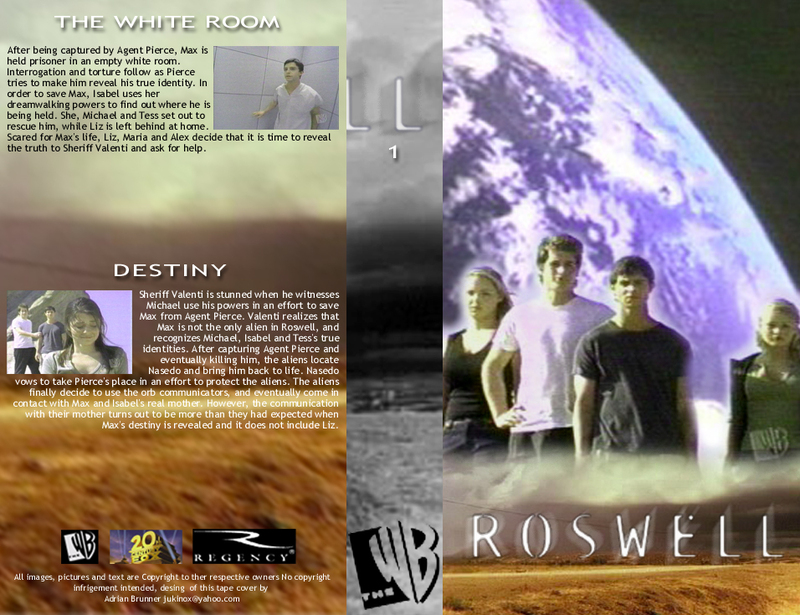 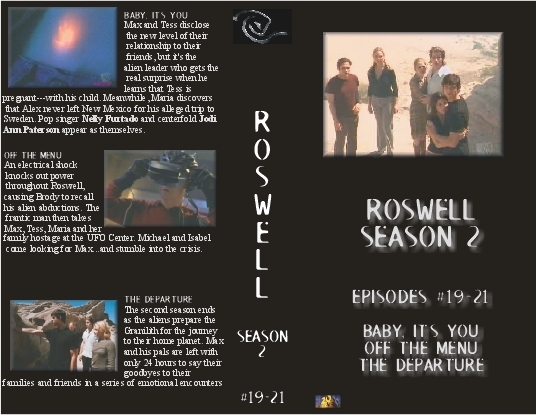 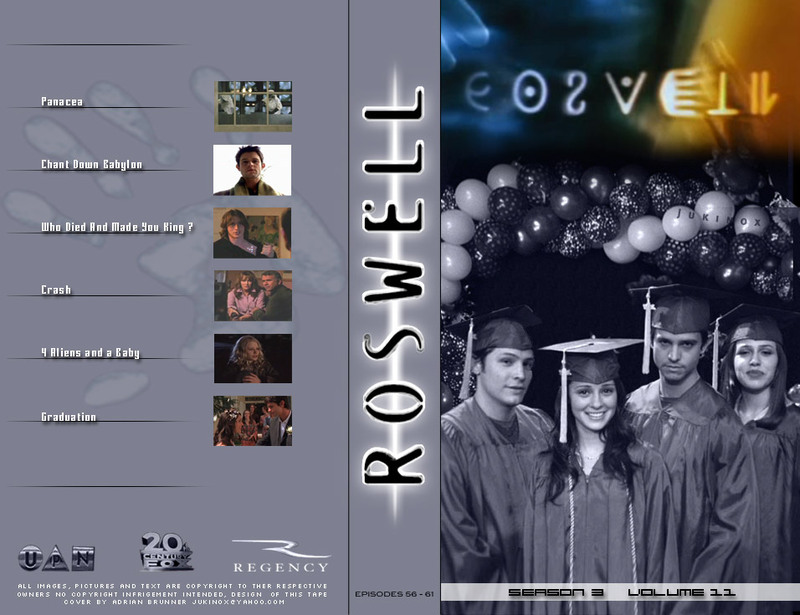 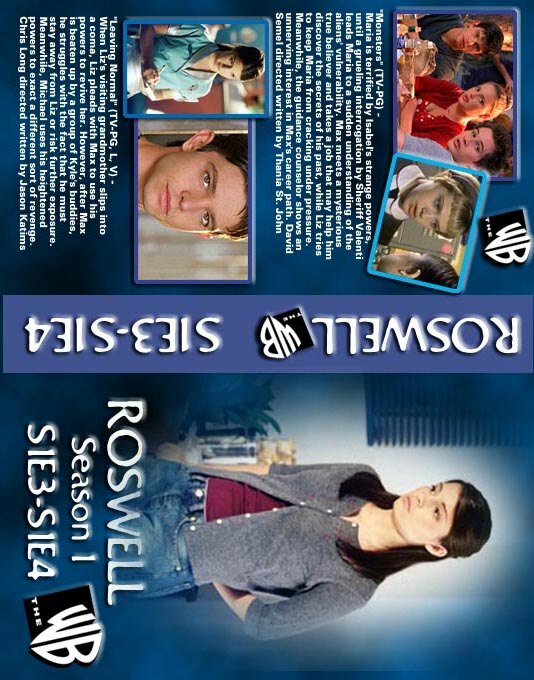 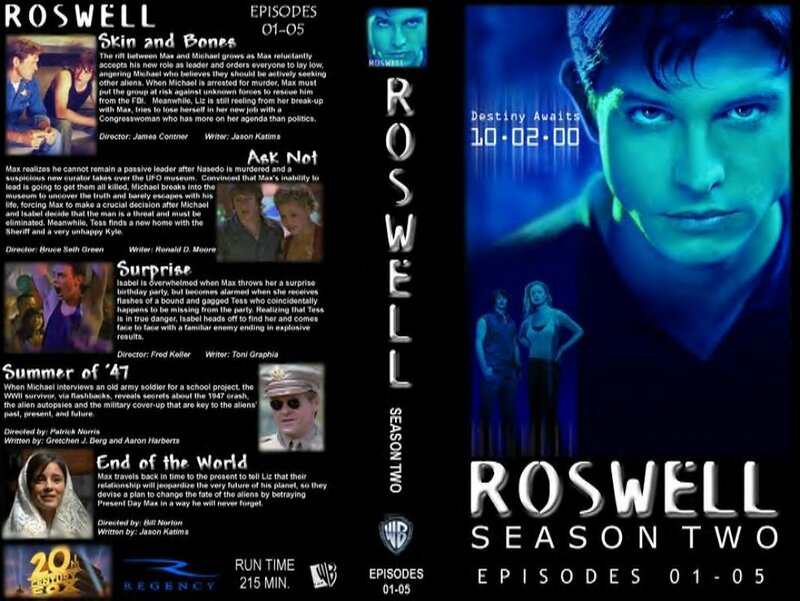 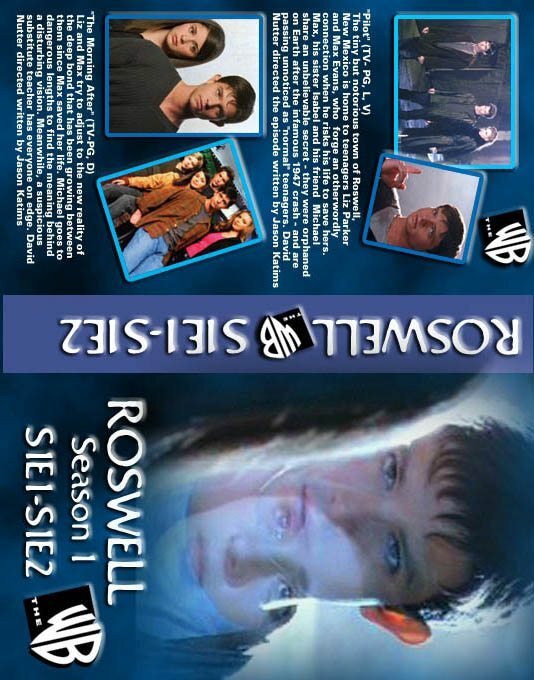 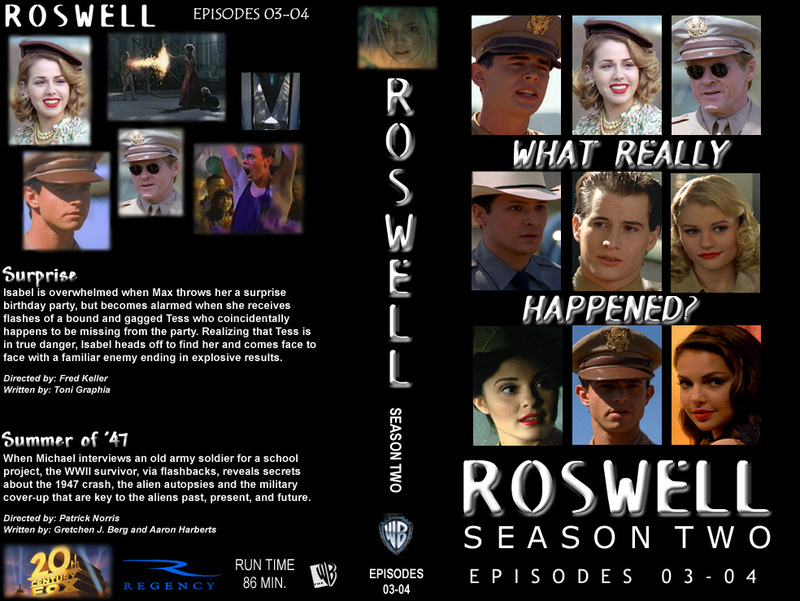 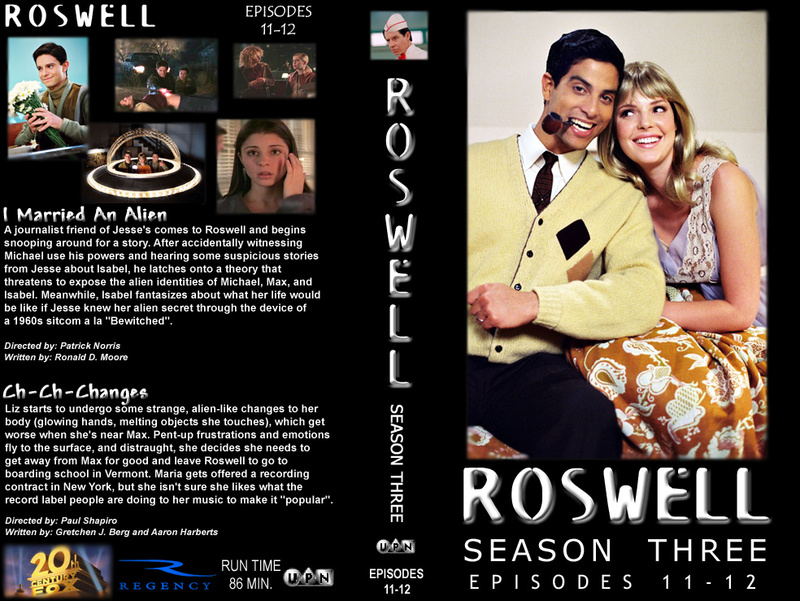 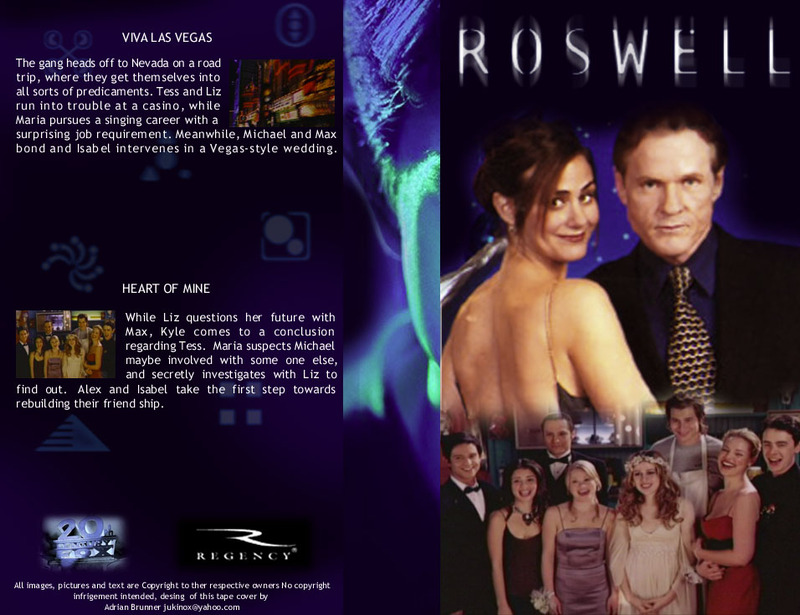 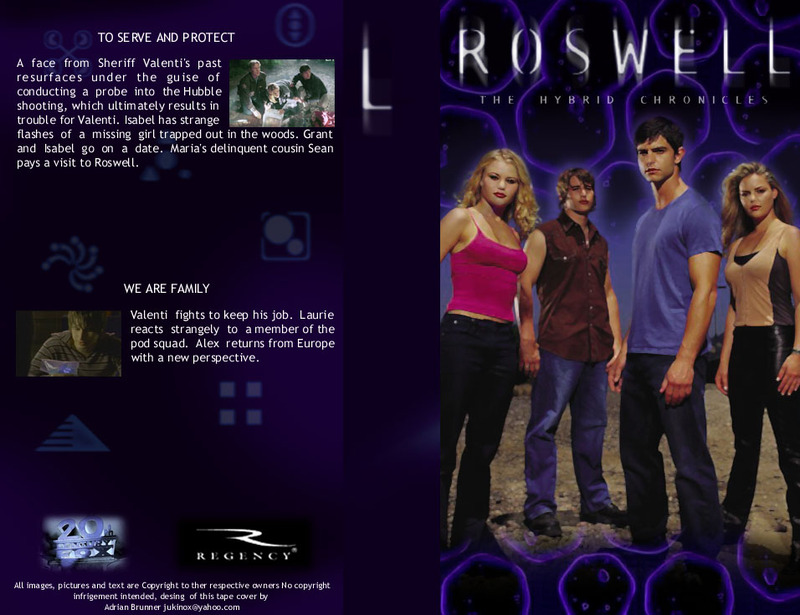 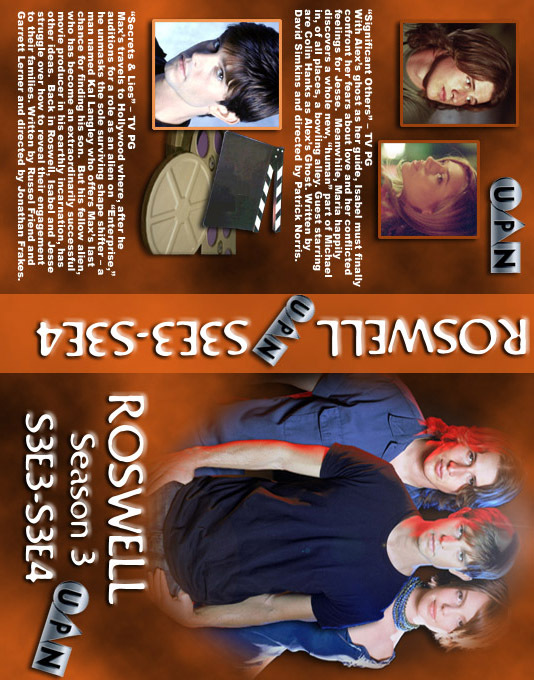 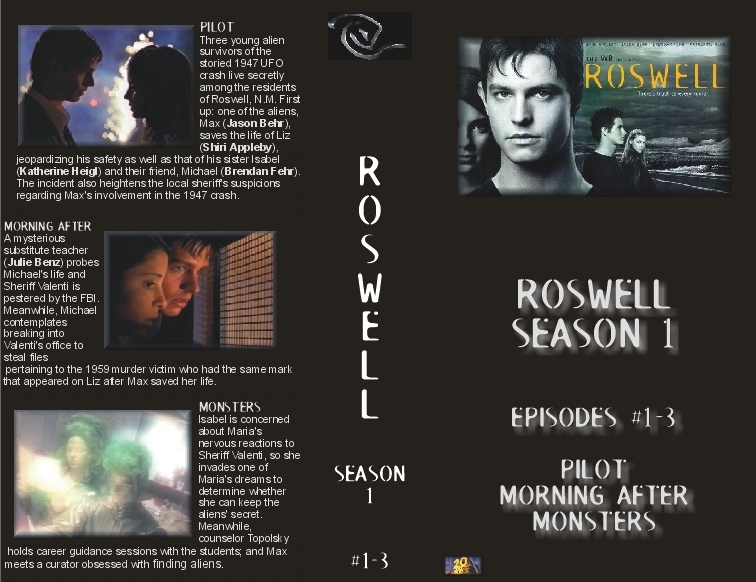 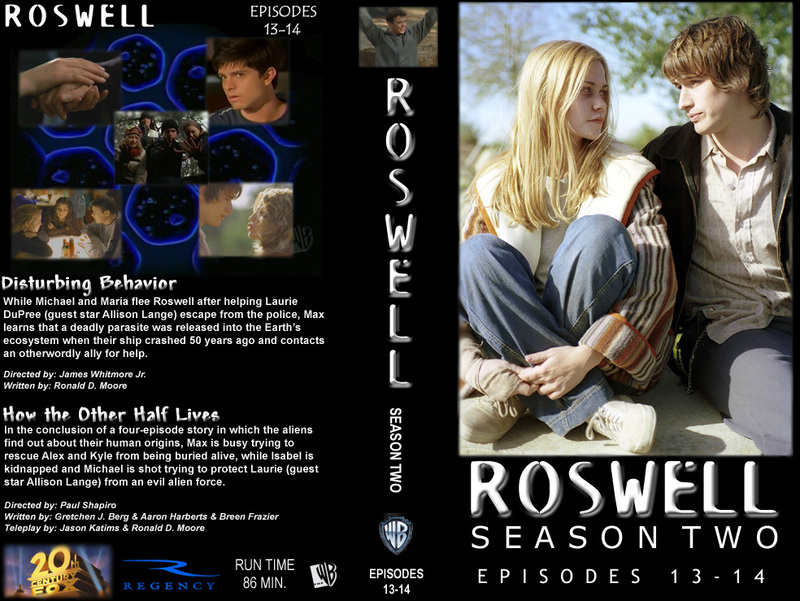 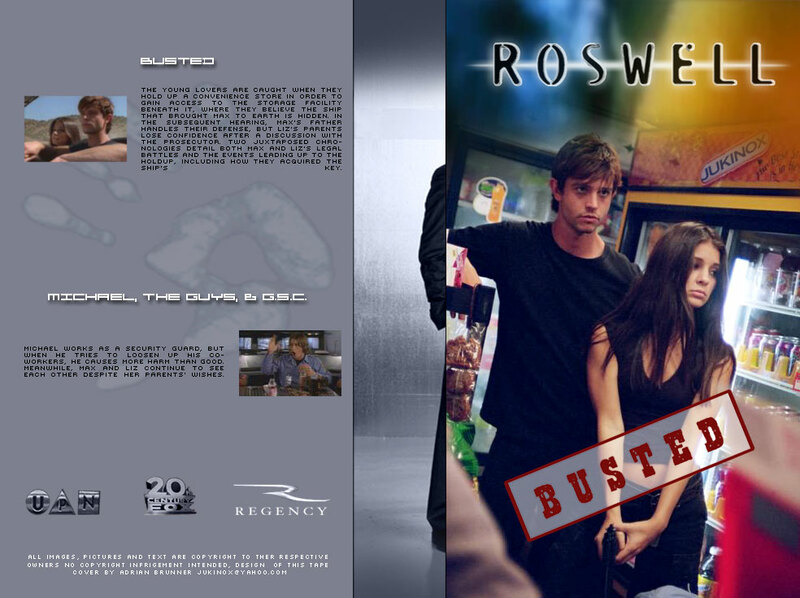 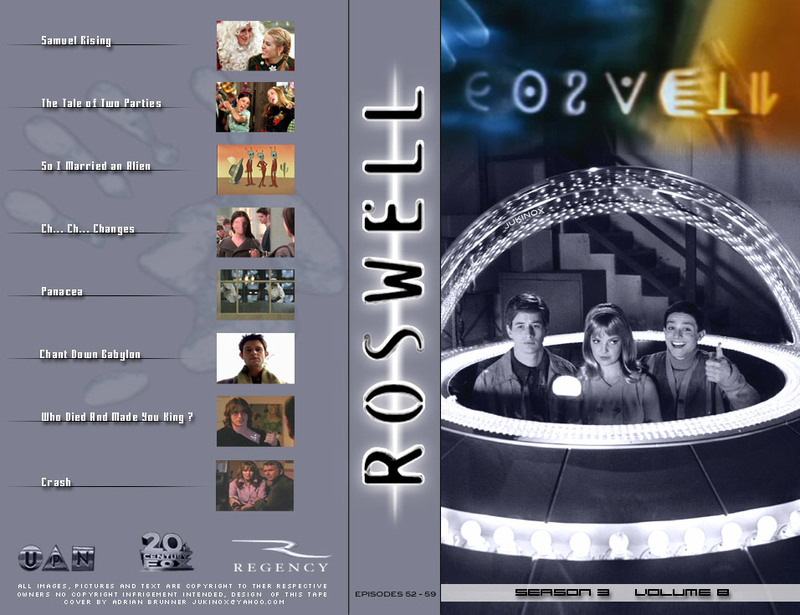 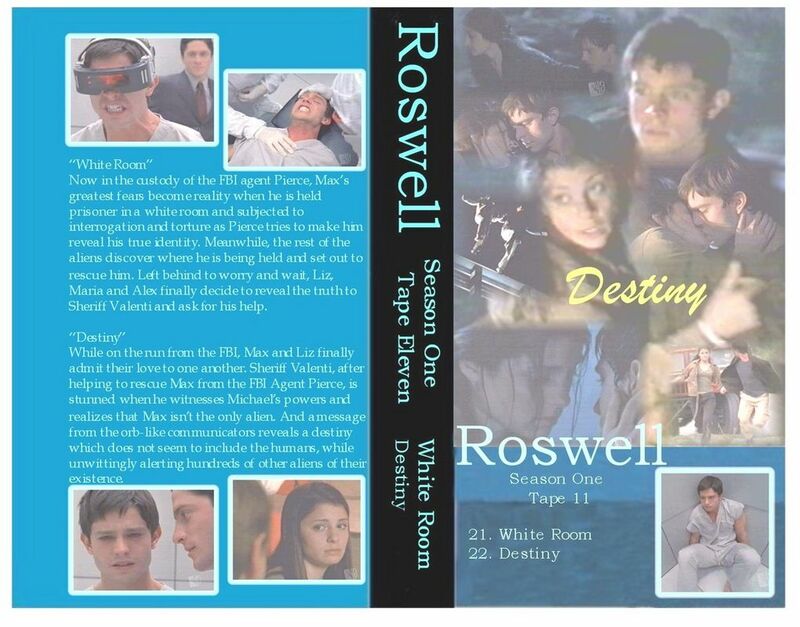 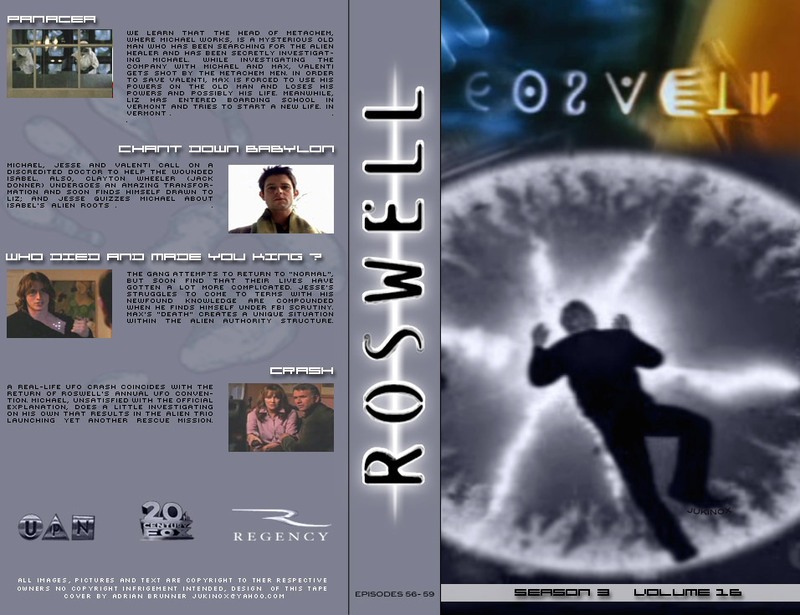 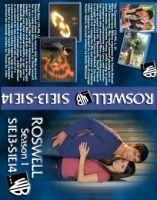 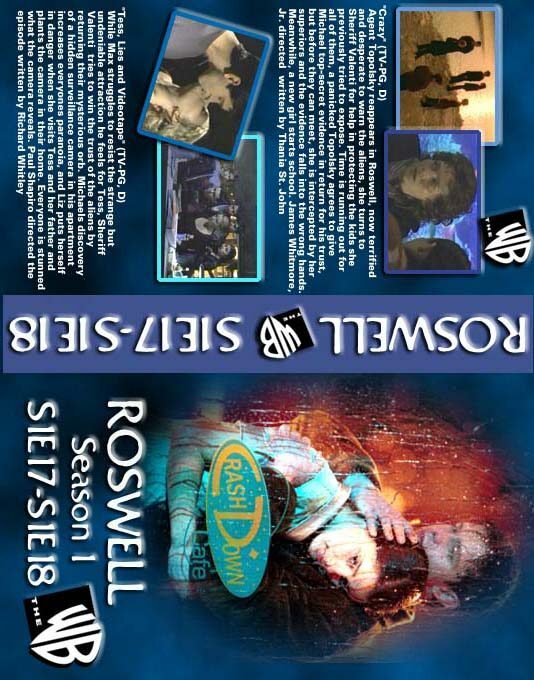 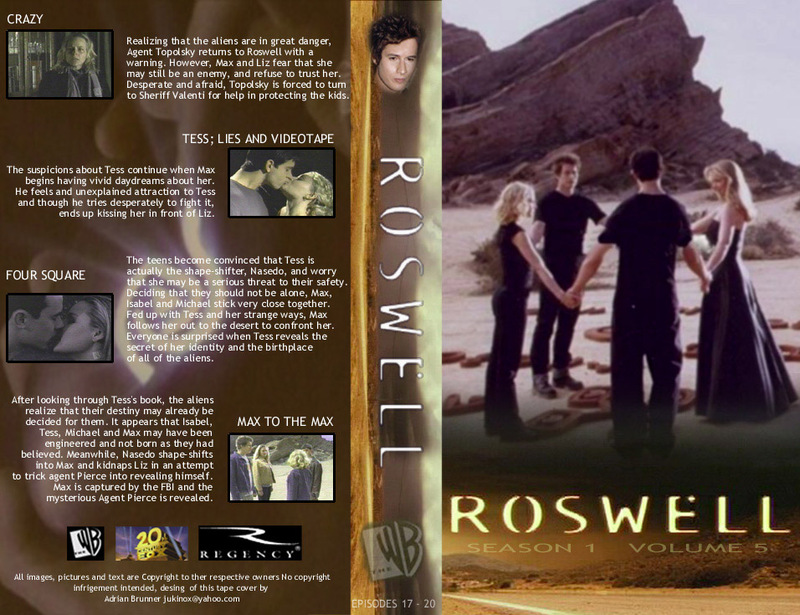 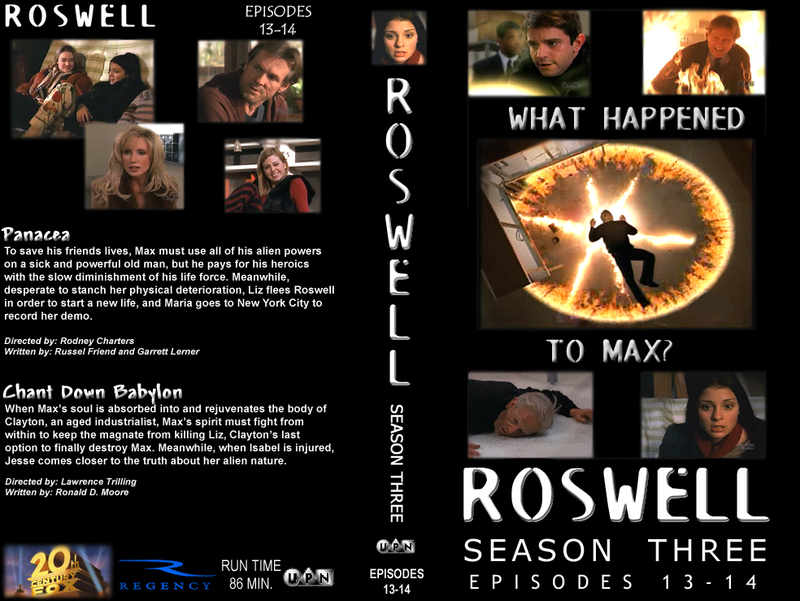 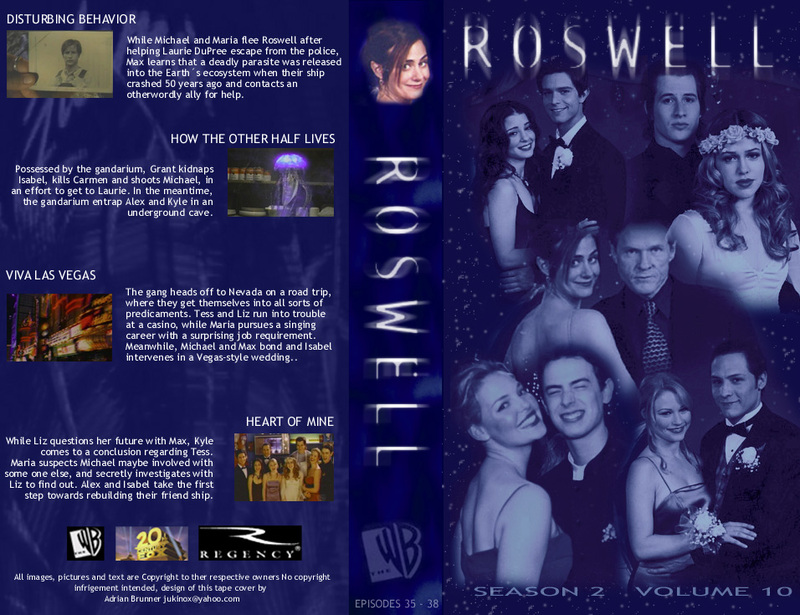 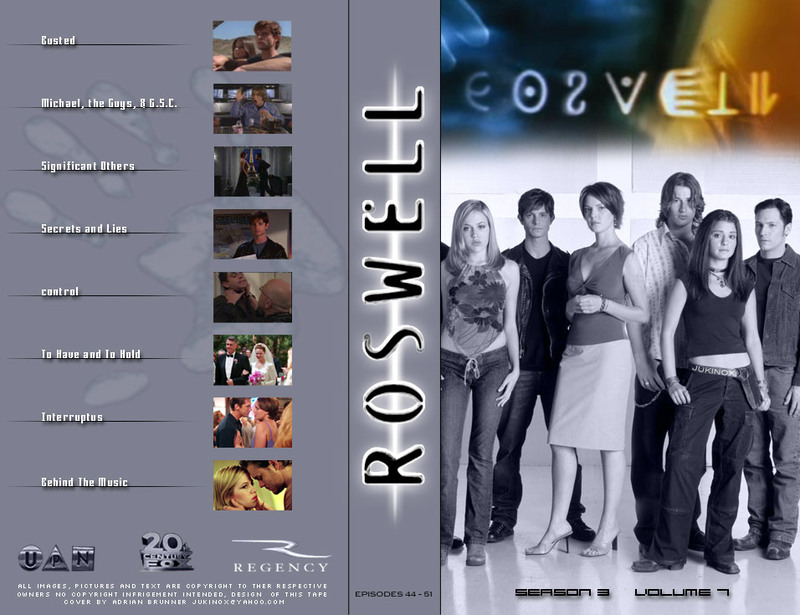 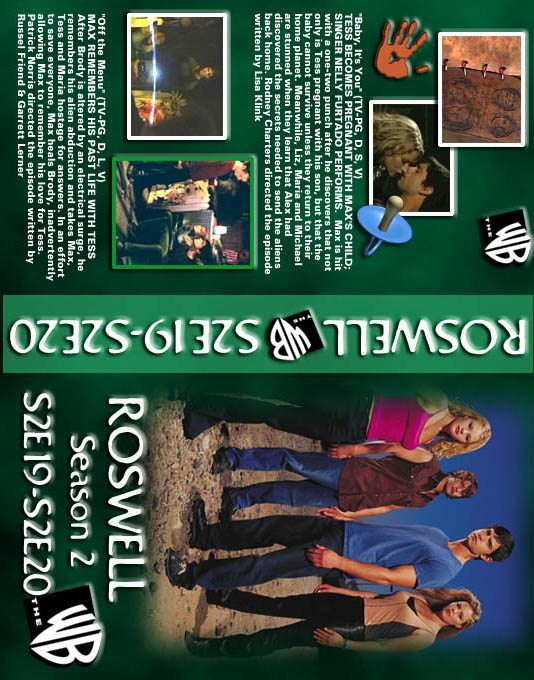 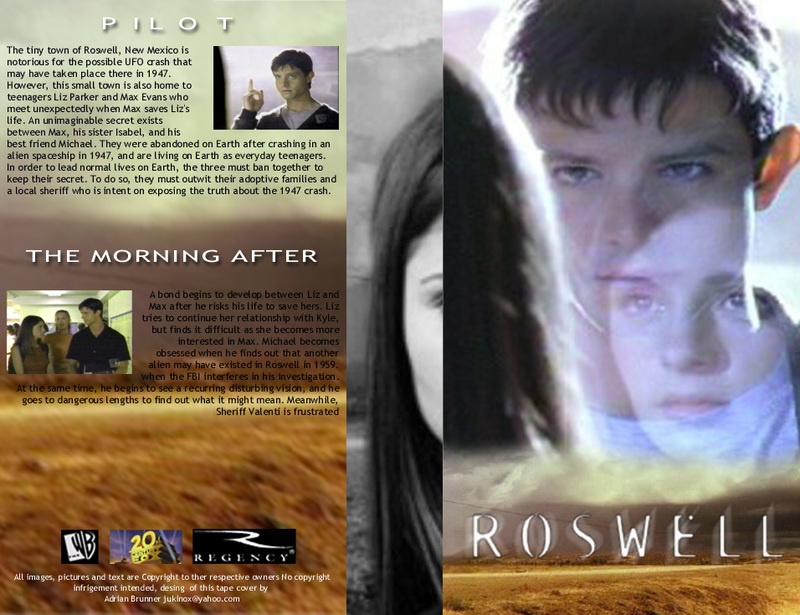 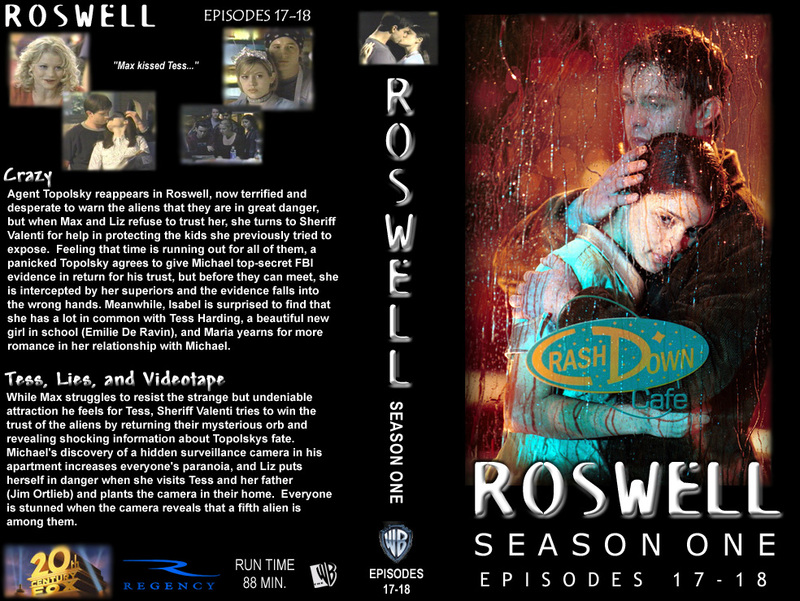 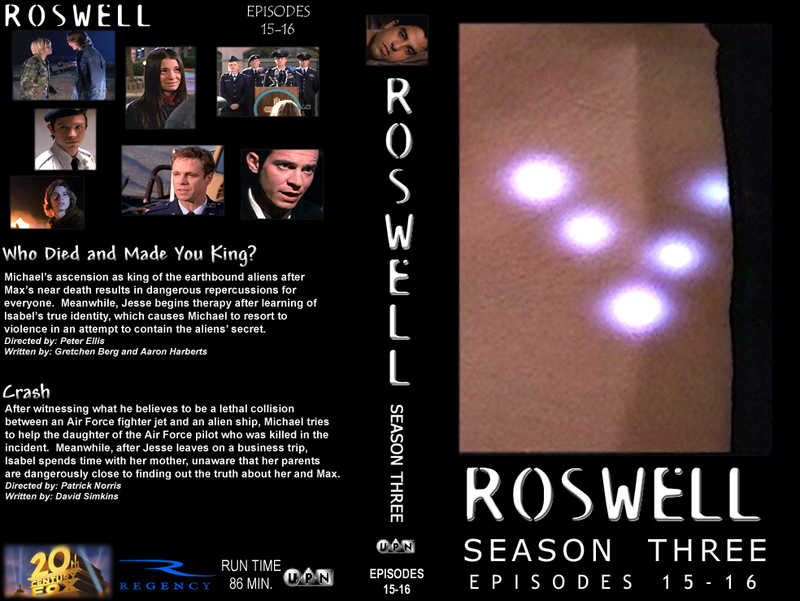 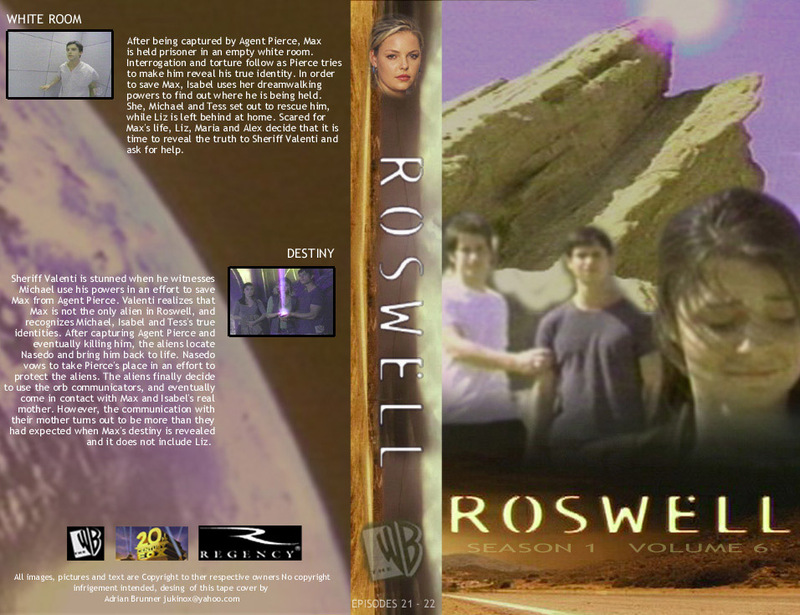 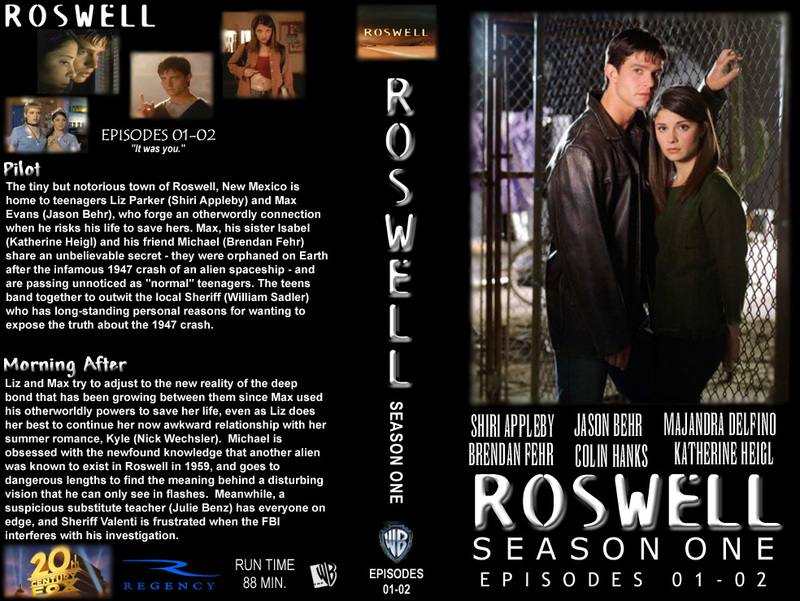 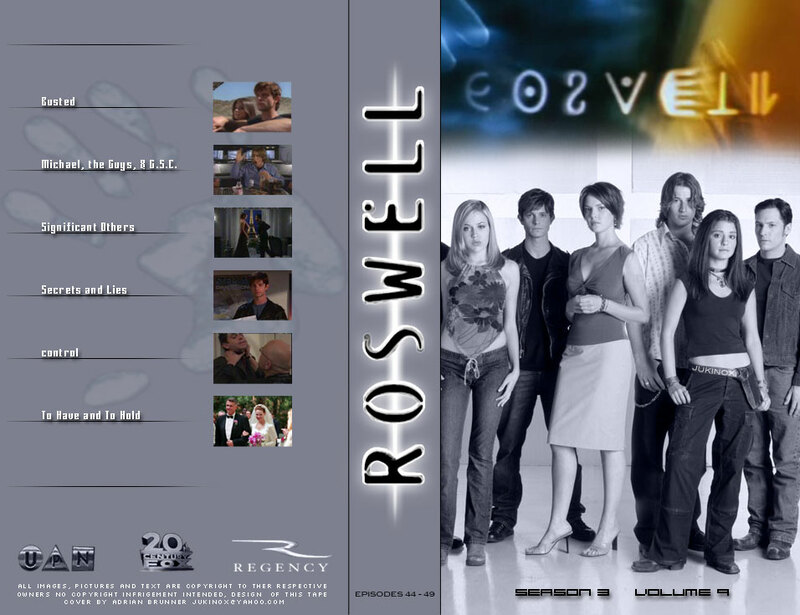 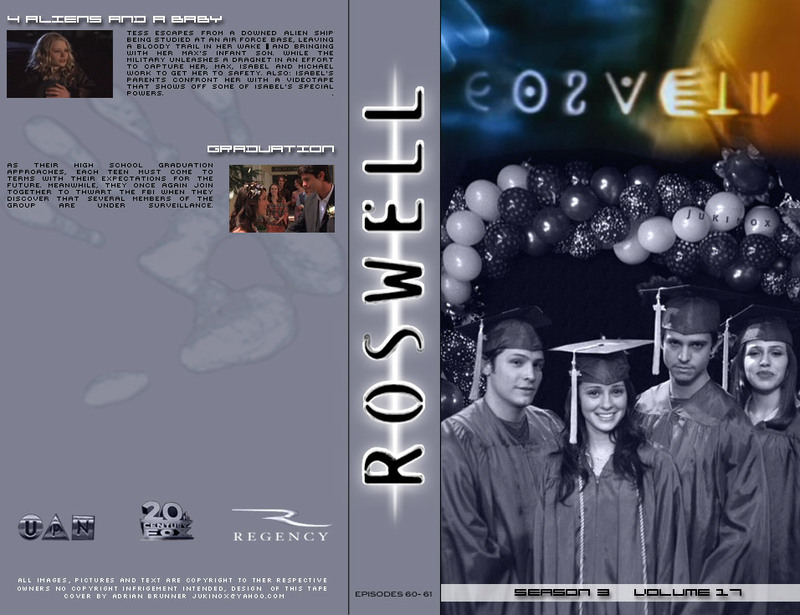 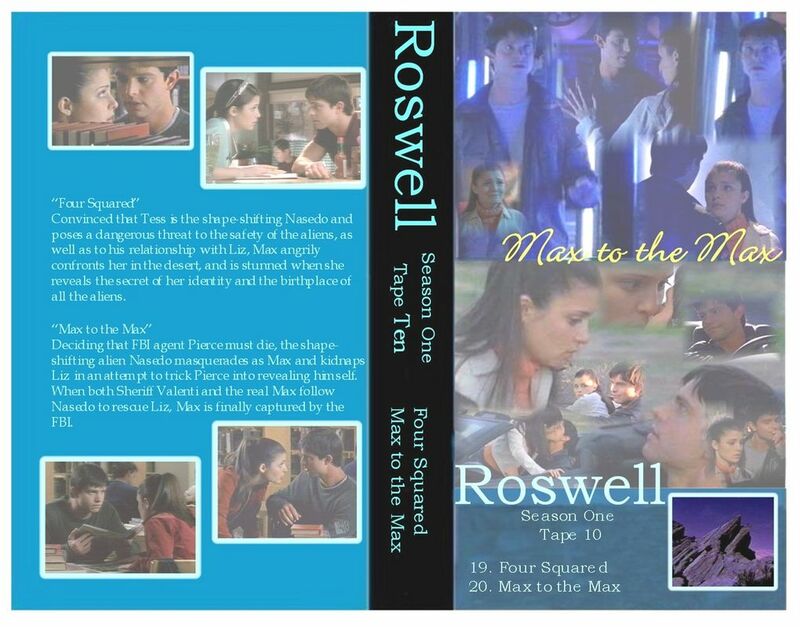 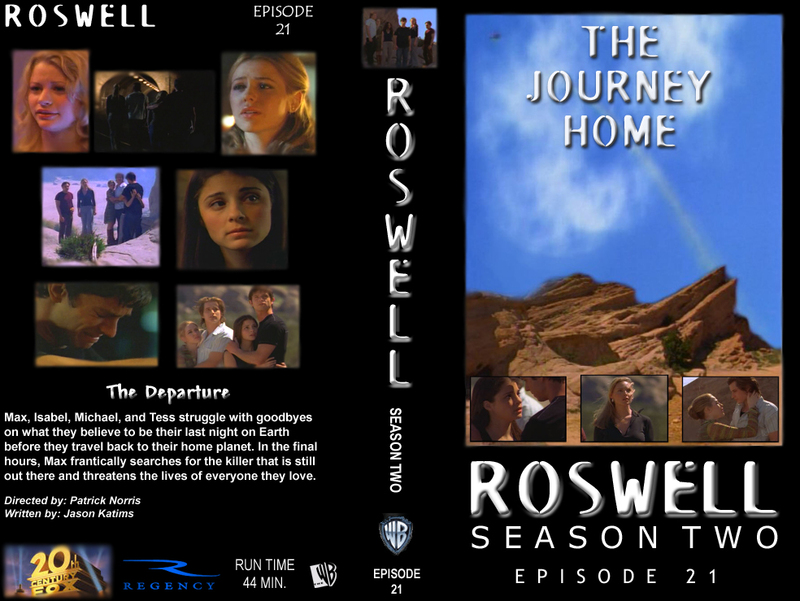 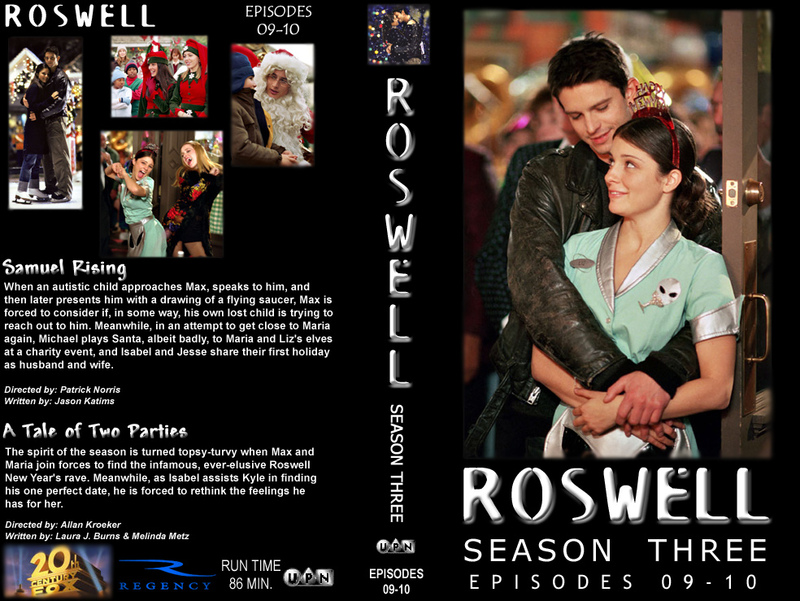 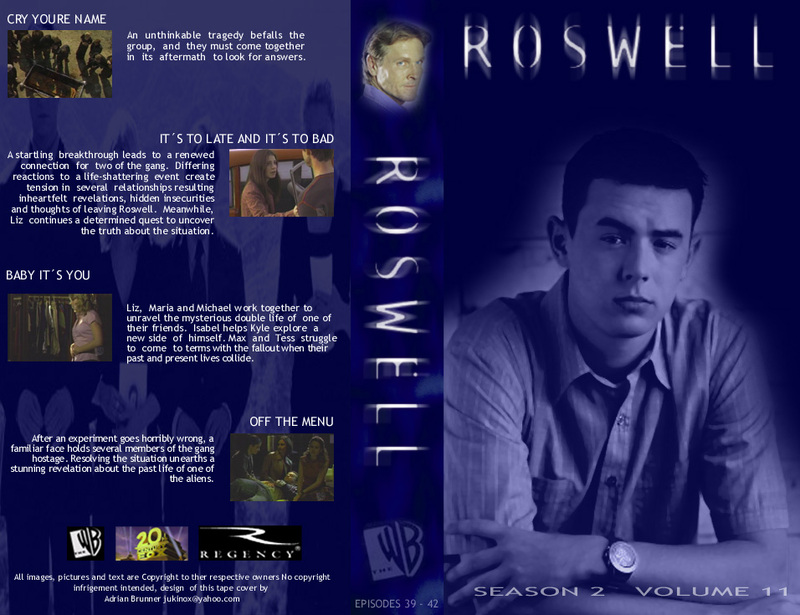 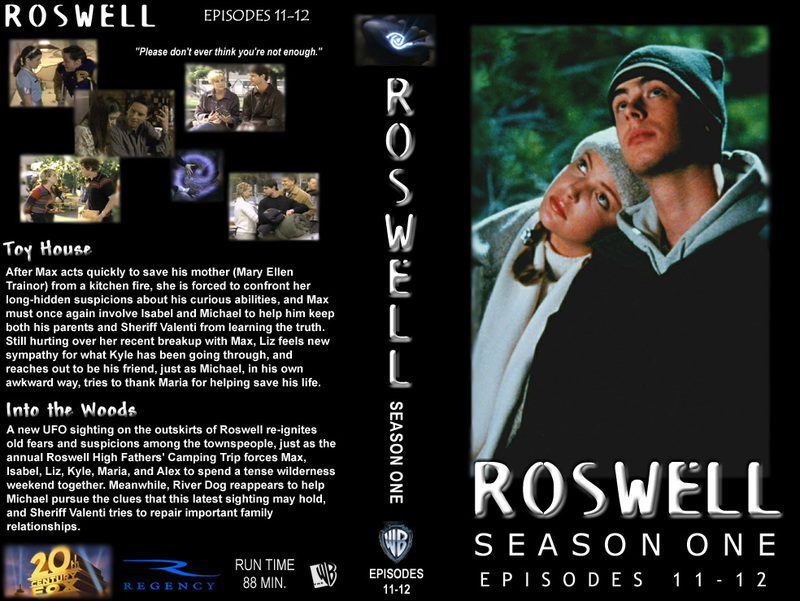 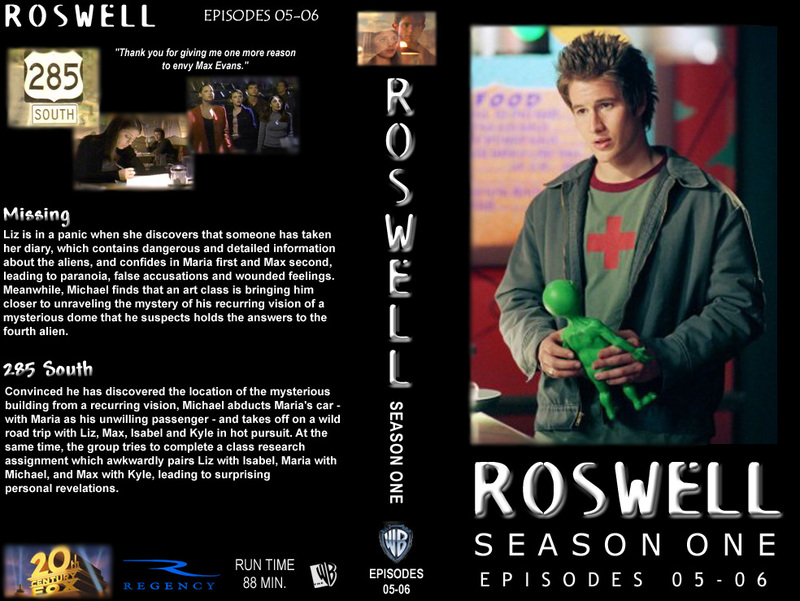 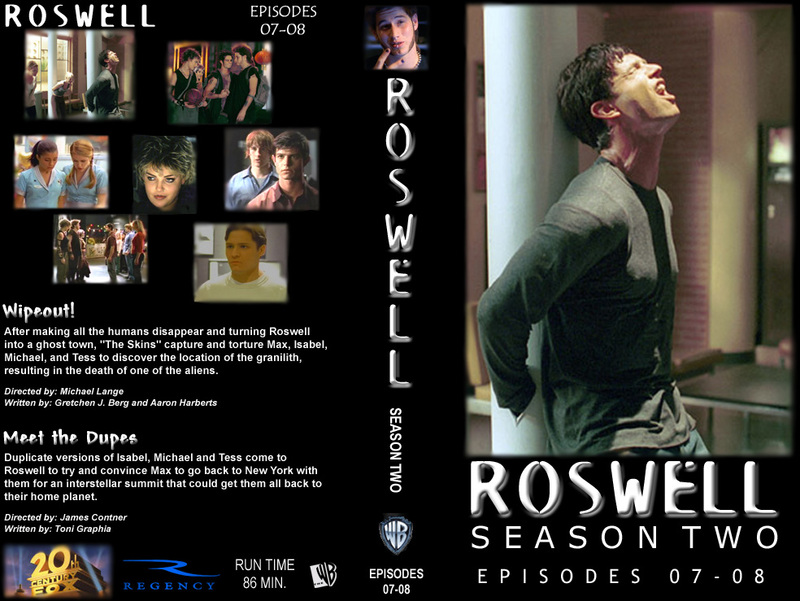 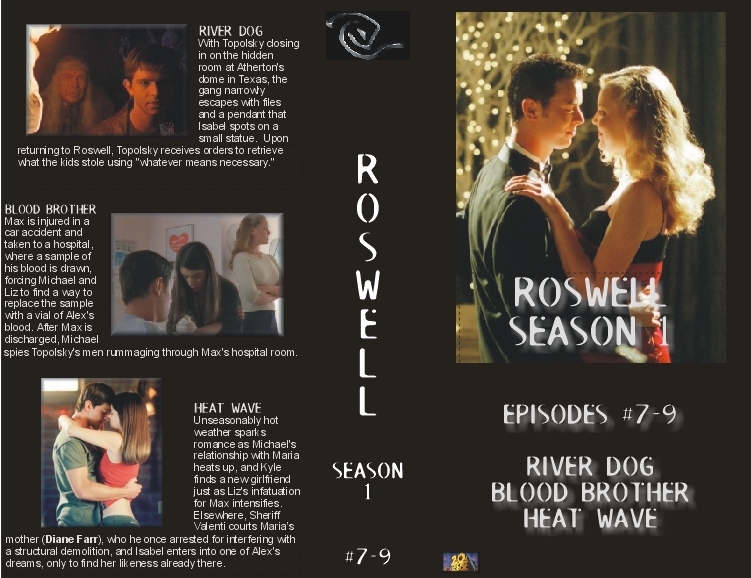 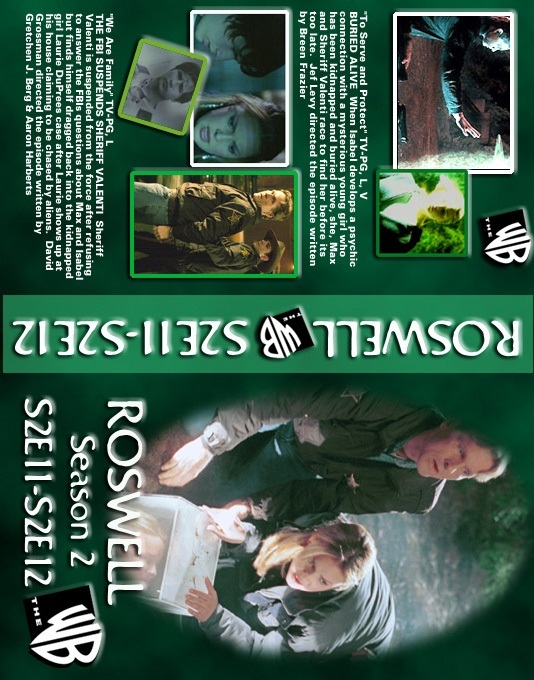 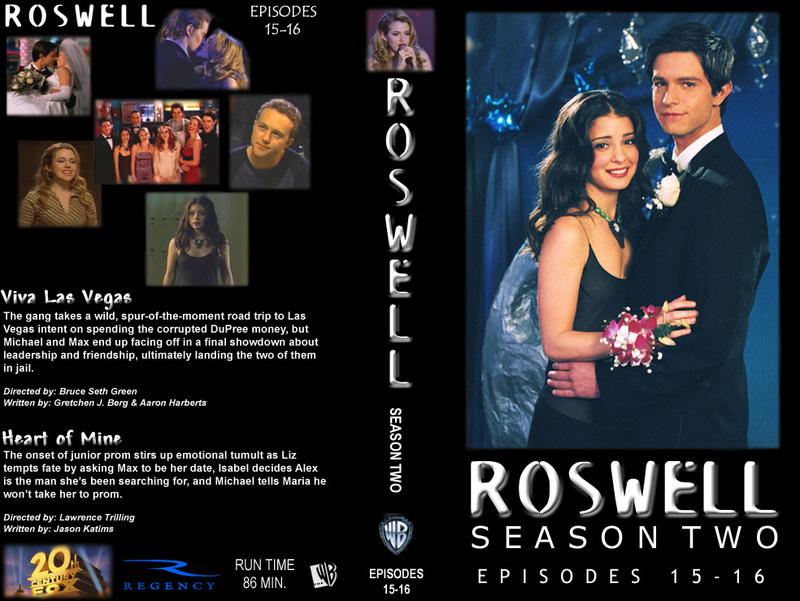 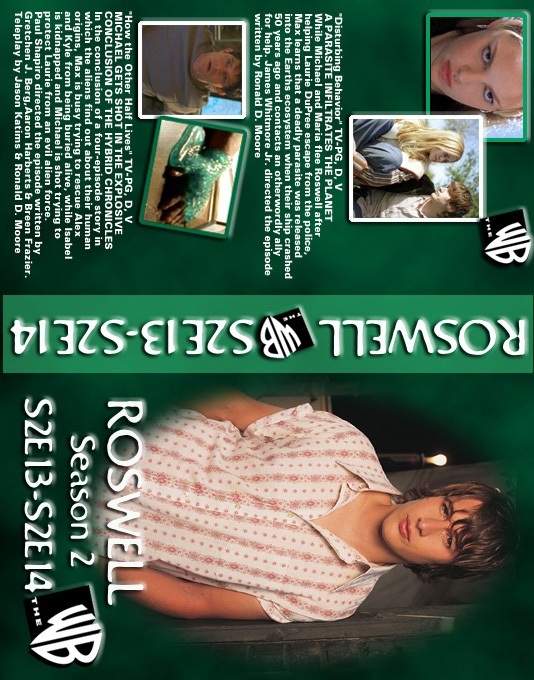 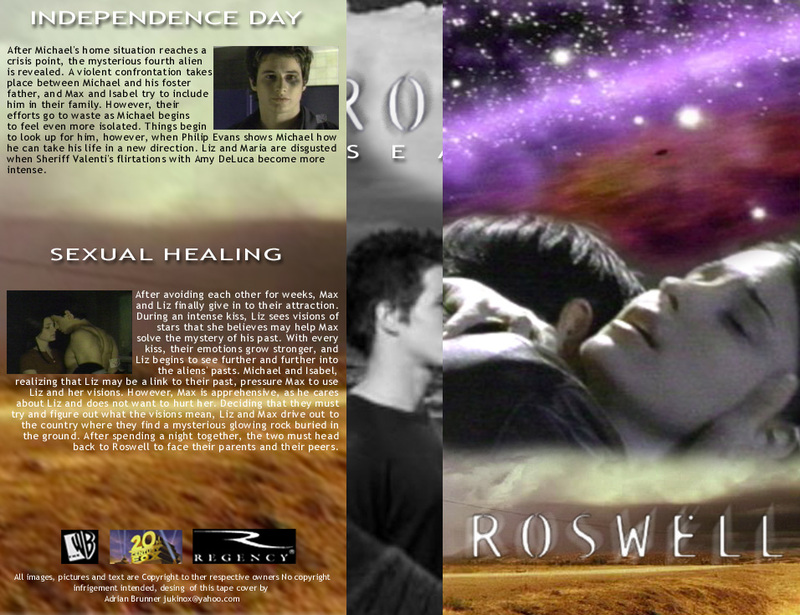 created by Roswell fans to put on the homemade tapes. 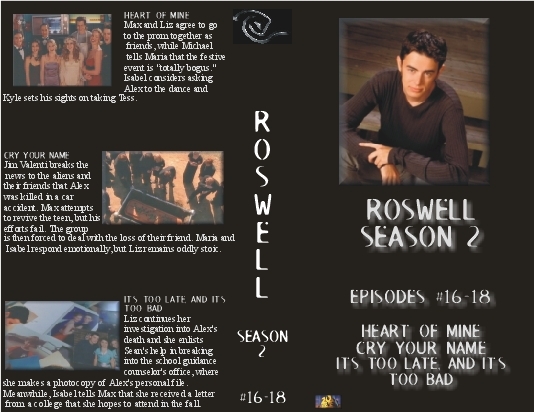 Unfortunately I didn't save who made all of them, but I will post credits on the ones I know. 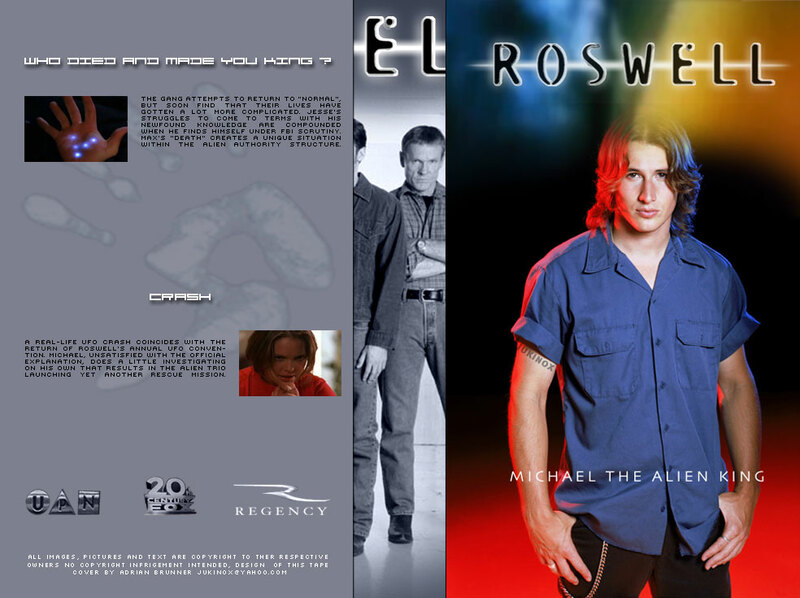 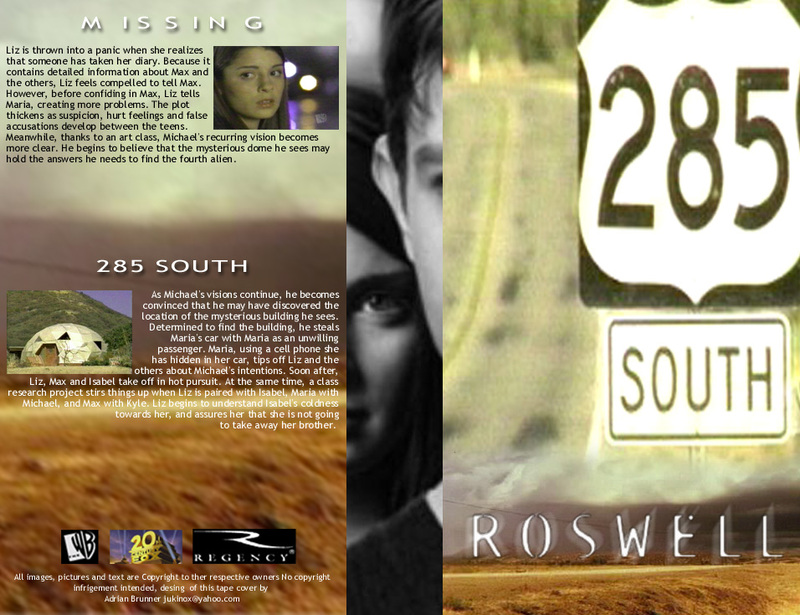 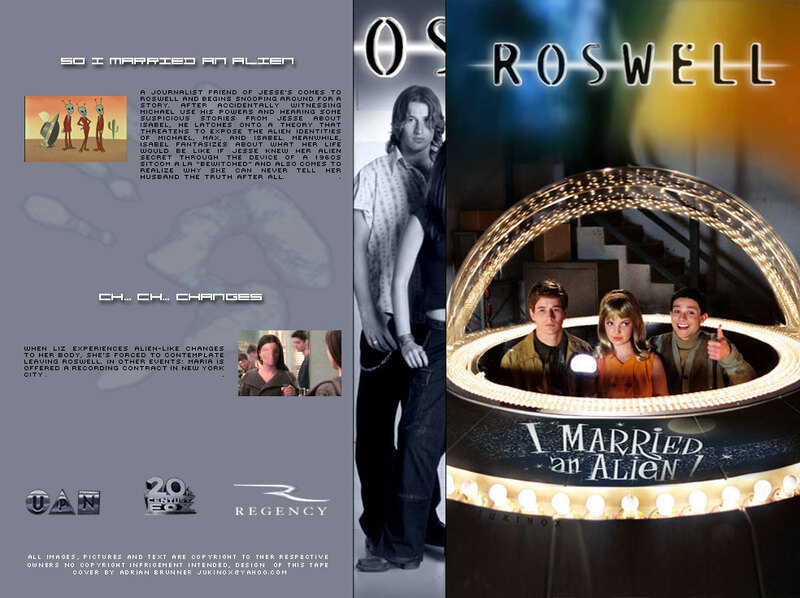 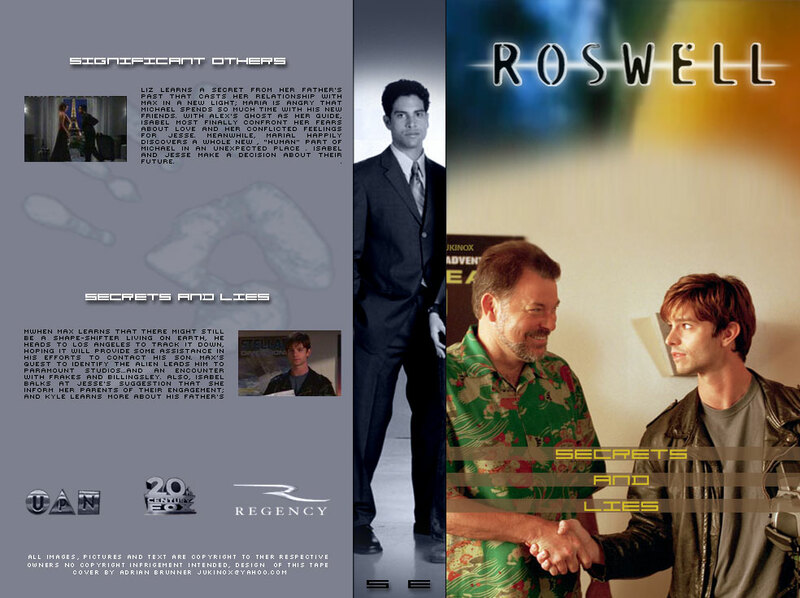 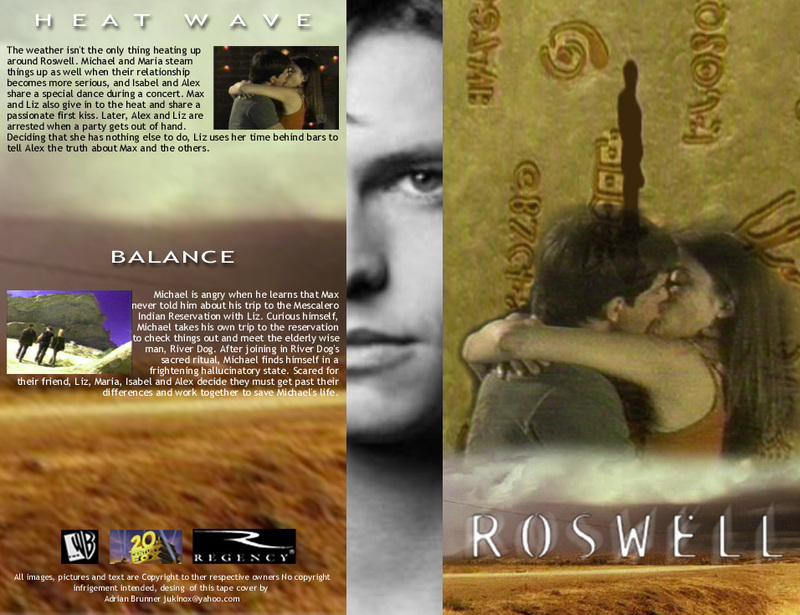 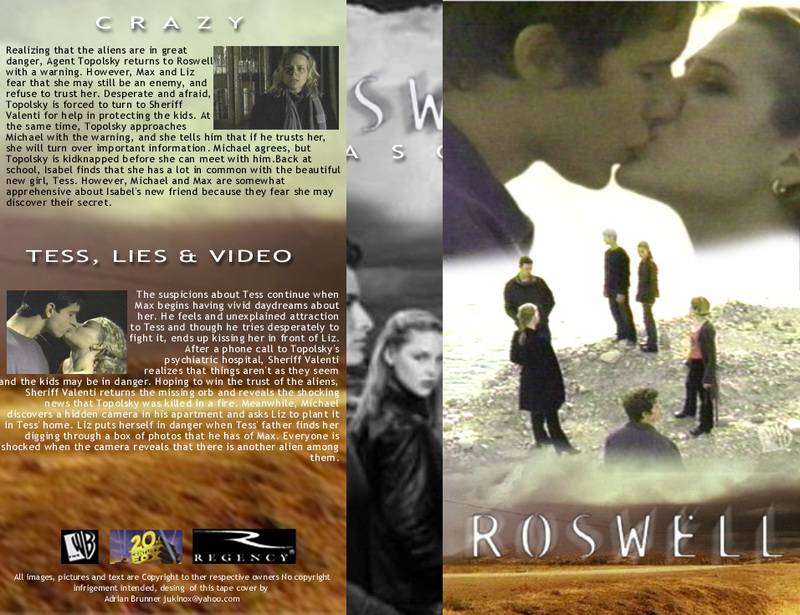 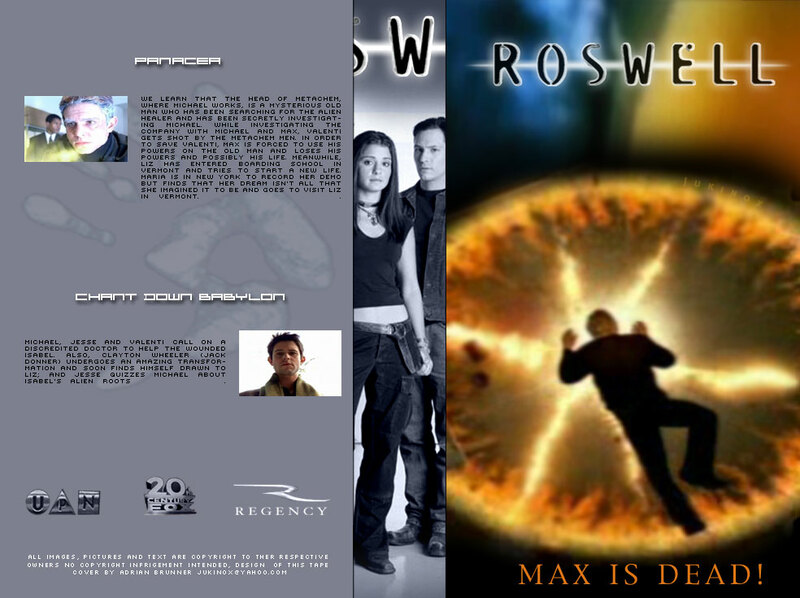 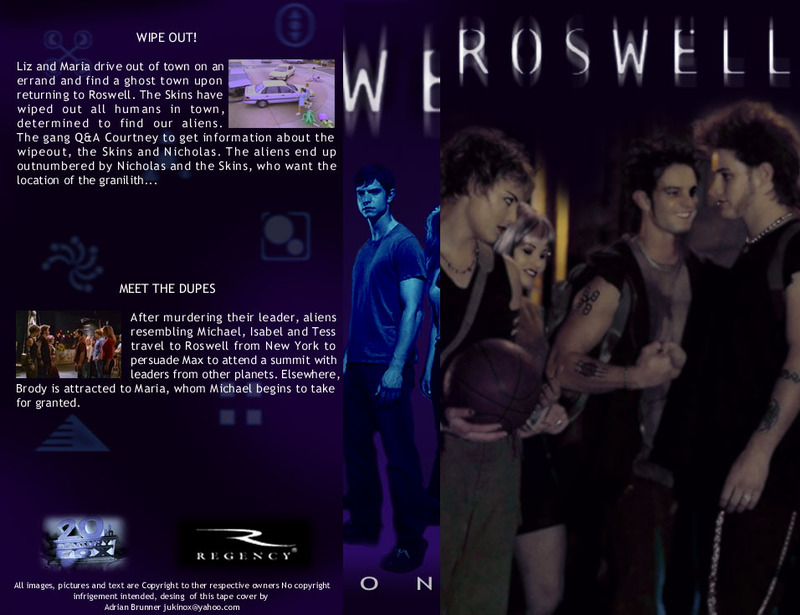 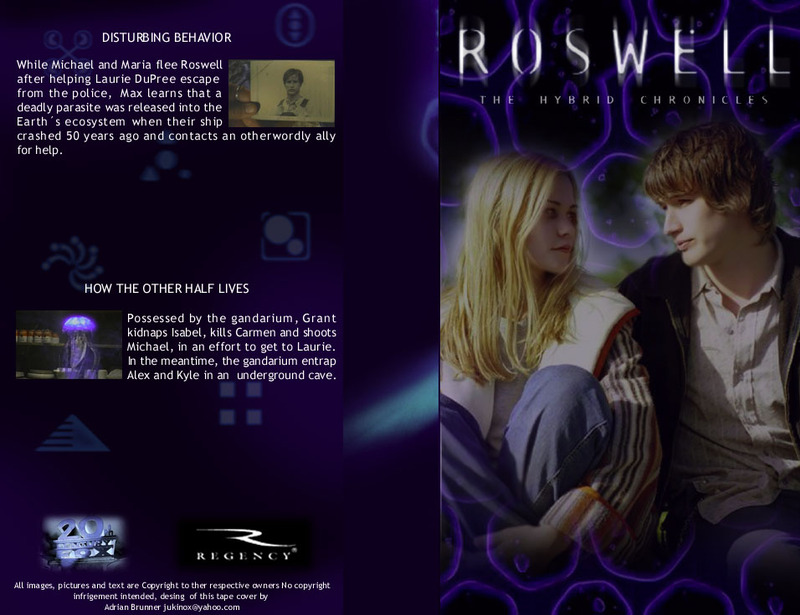 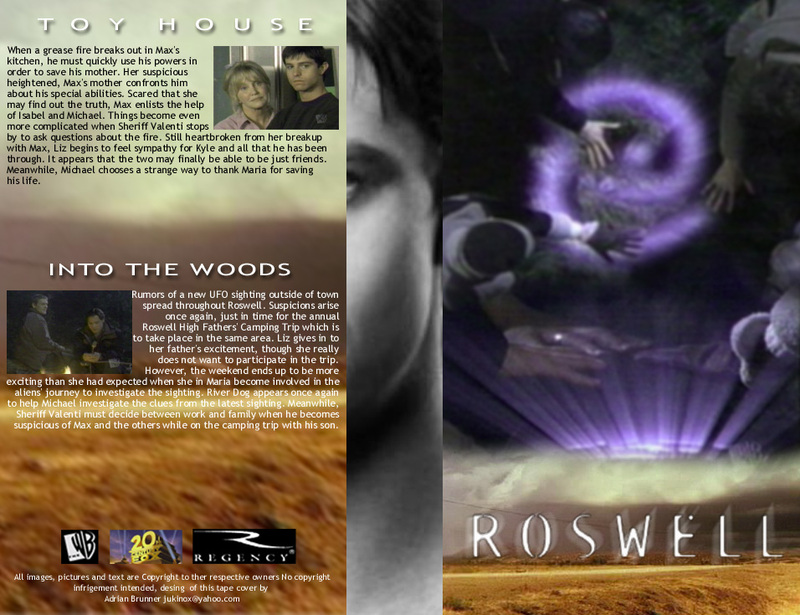 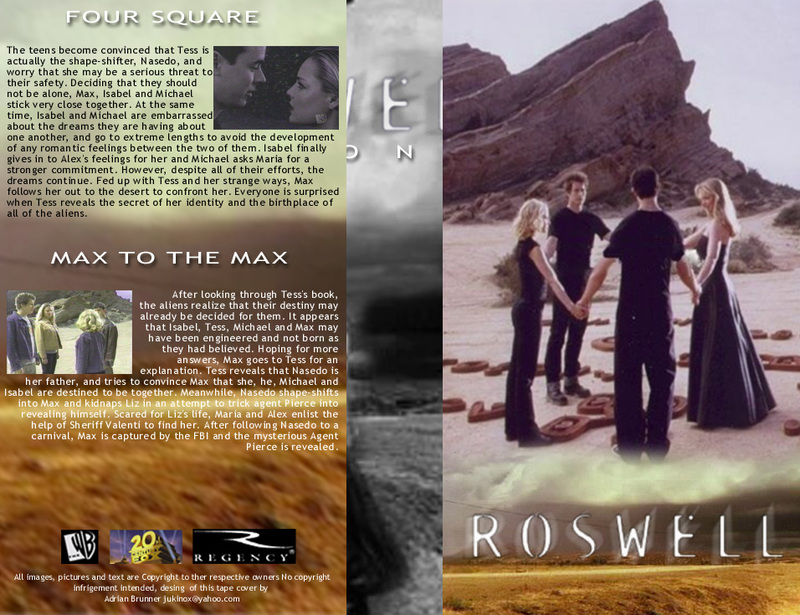 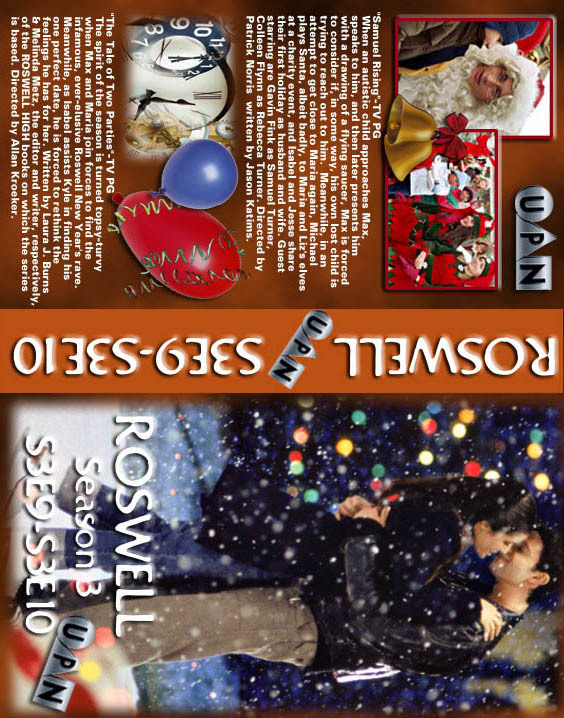 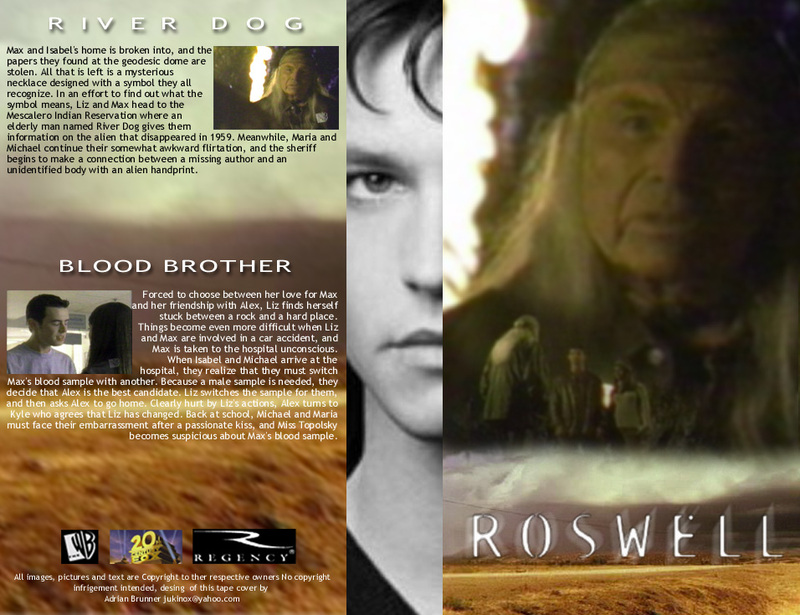 These are from the site 'Images of Roswell'. 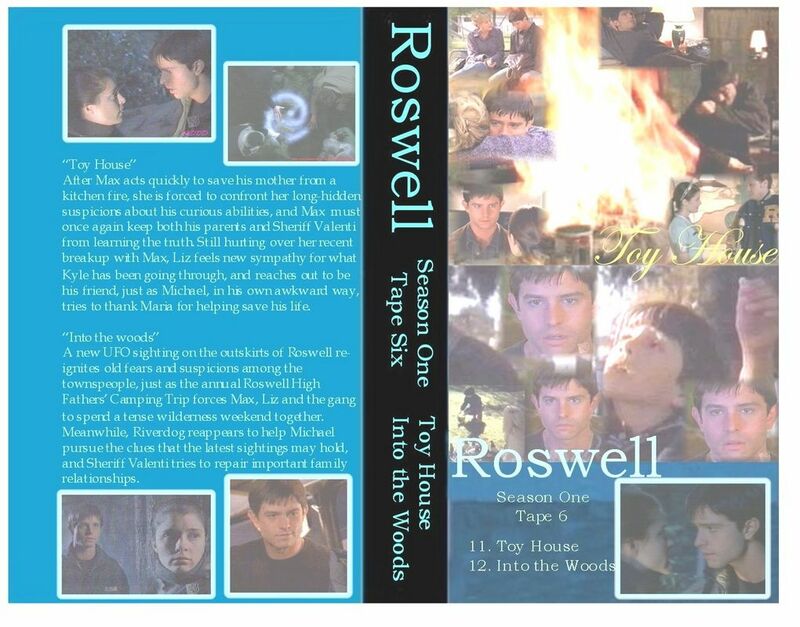 They made covers for 2 episodes per tape, but also 3, 4, 5, 6, 7, 8, 9, 10, 11 & 12 episodes per tape. 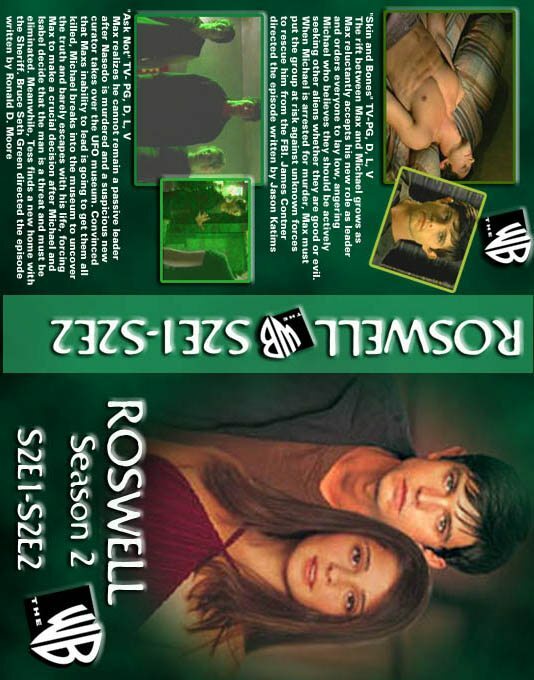 the same on front, with more info on the back for all the episodes. 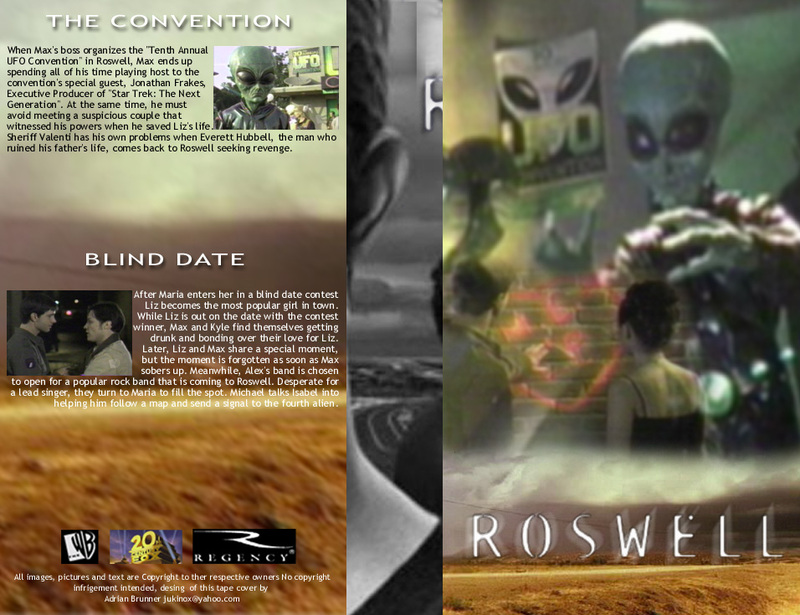 These are from the 'I Shall Believe' site.